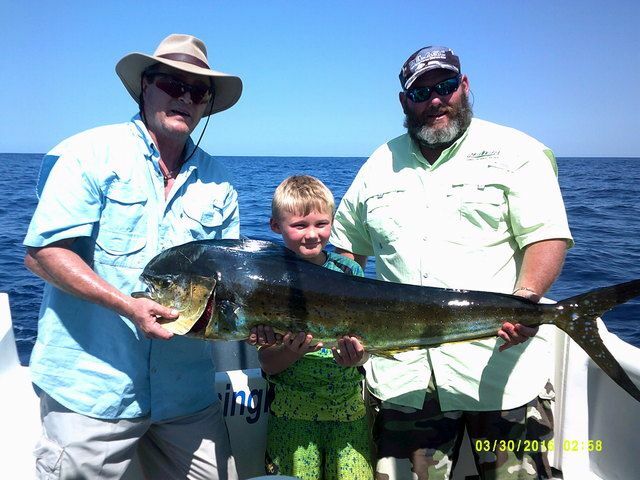 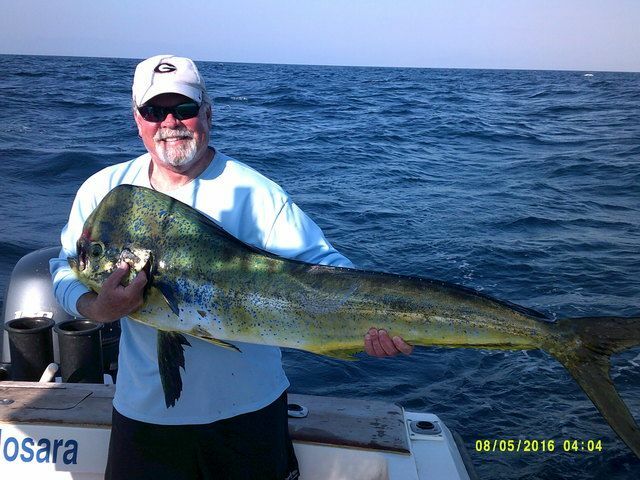 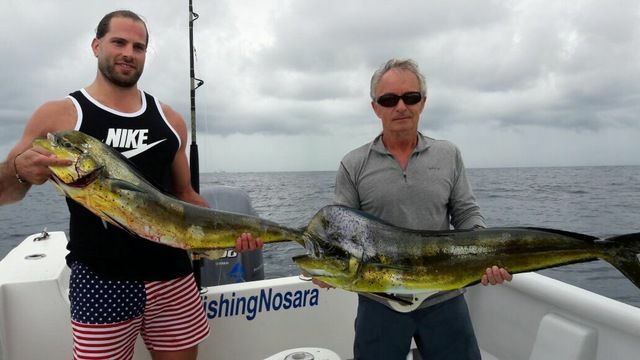 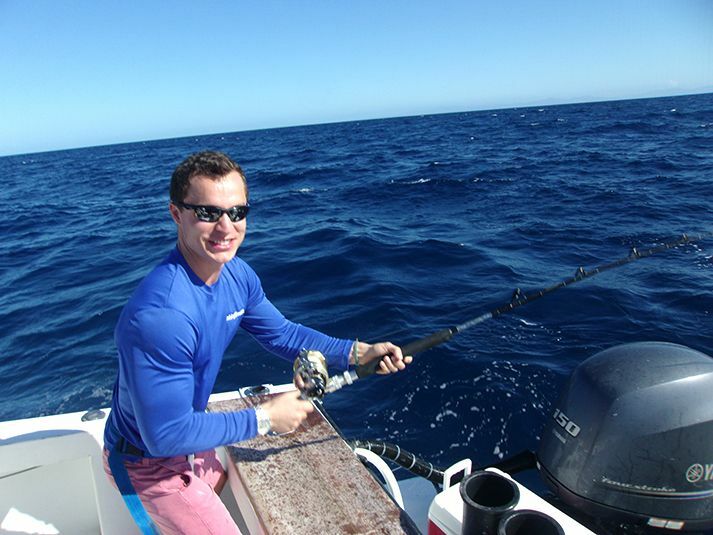 Captain Alex had a wonderful last day of fishing with Roger Bowgen and his family on December 8. 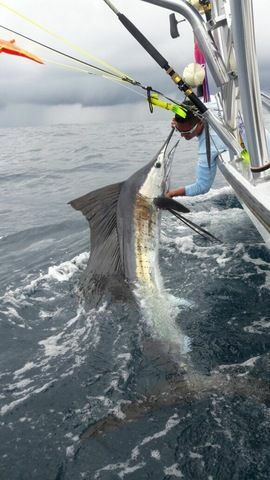 More awesome Dorados filled up the fishbox, and a mid-day Sailfish kept the billfish scoring streak alive. 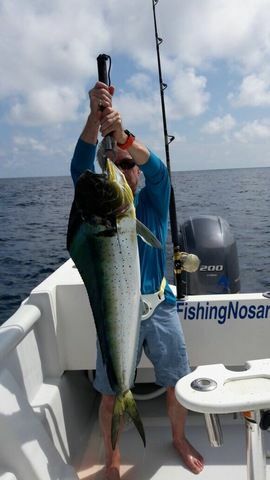 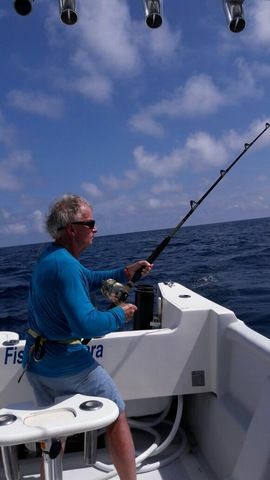 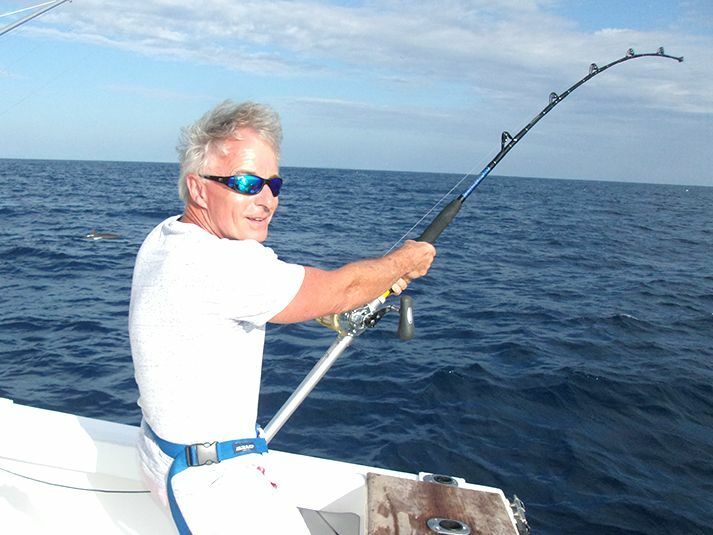 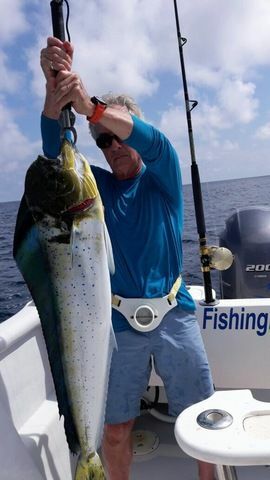 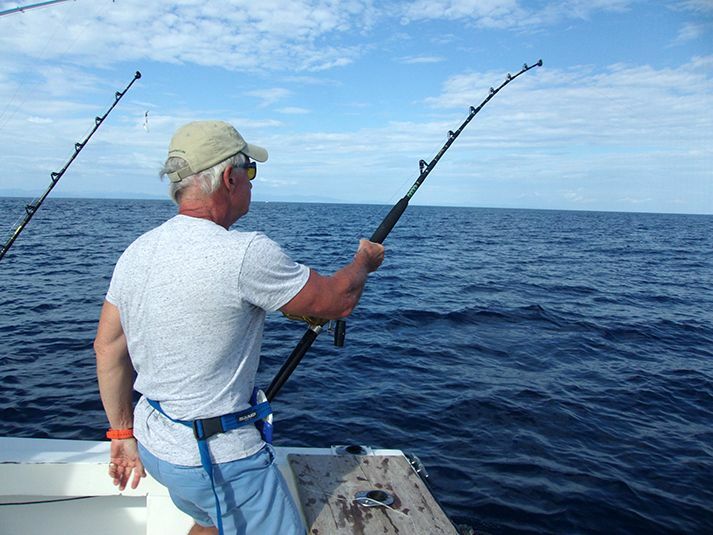 FishingNosara Hall of Famer Roger Bowgen has returned for a mighty week of fishing with Captain Alex on the Harvester. 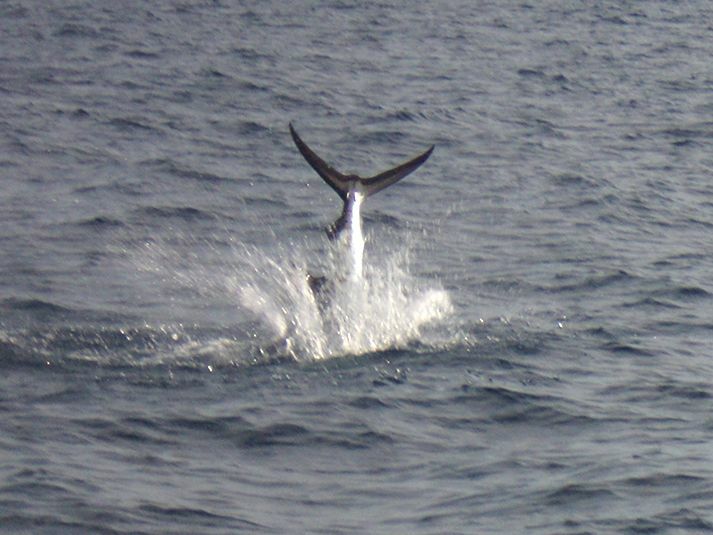 Big Sailfish were among the highlights of the trip, which also featured these nice Dorados. 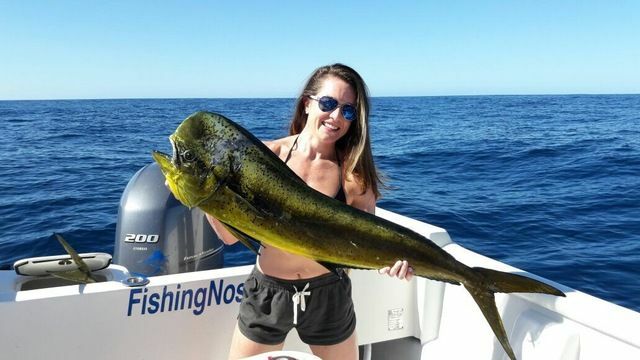 This double Dorado hookup was a sign of good action to come, as the rest of the day was spent reeling in nice green morsels. 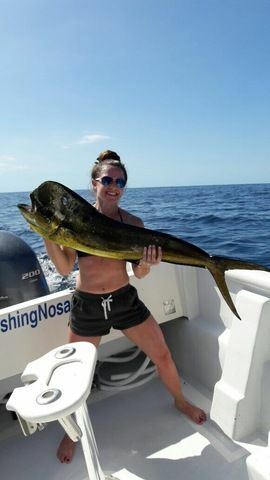 Great work by the mega panga! 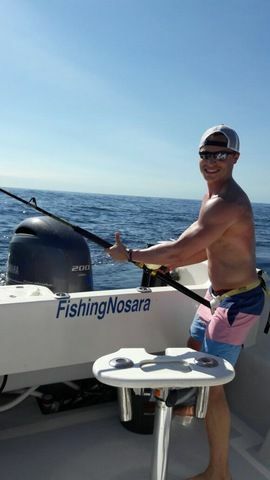 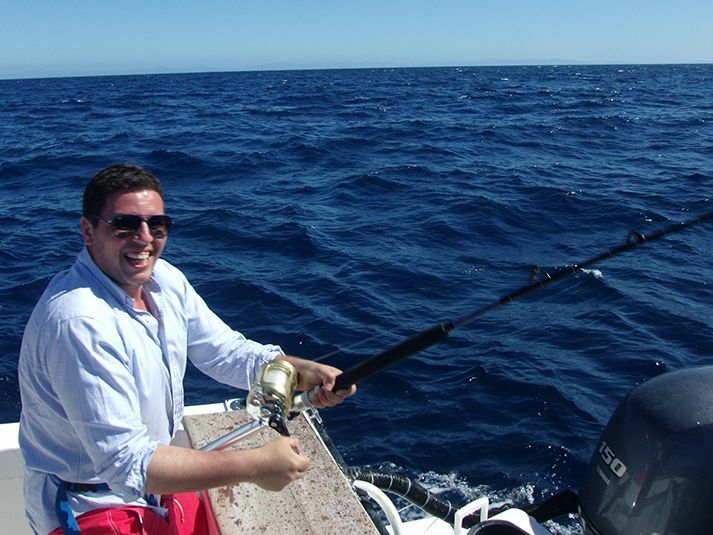 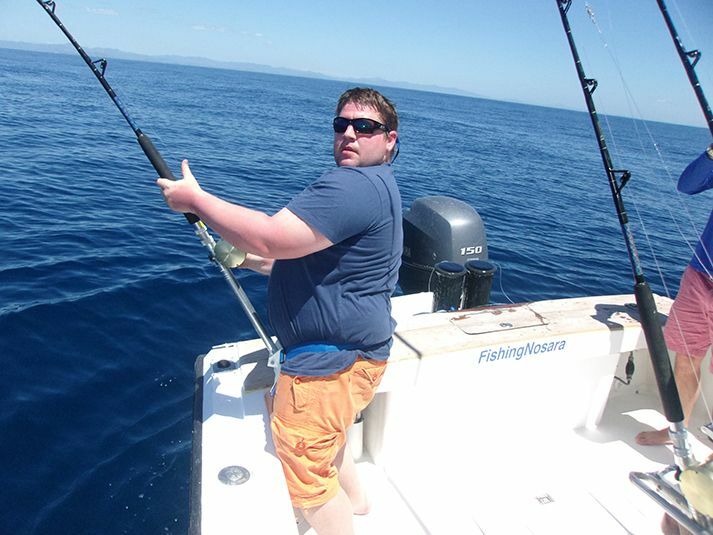 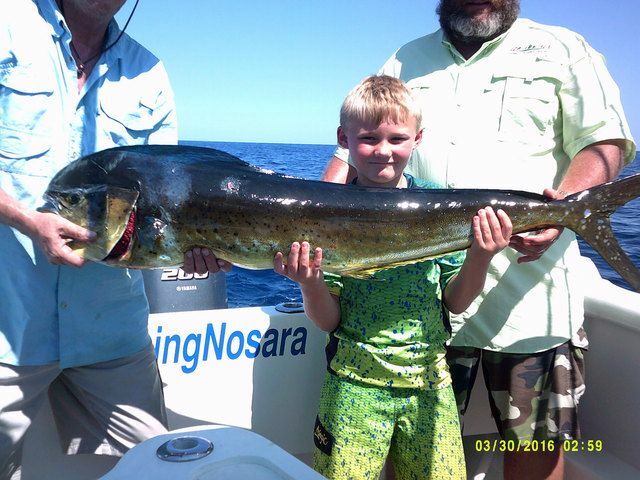 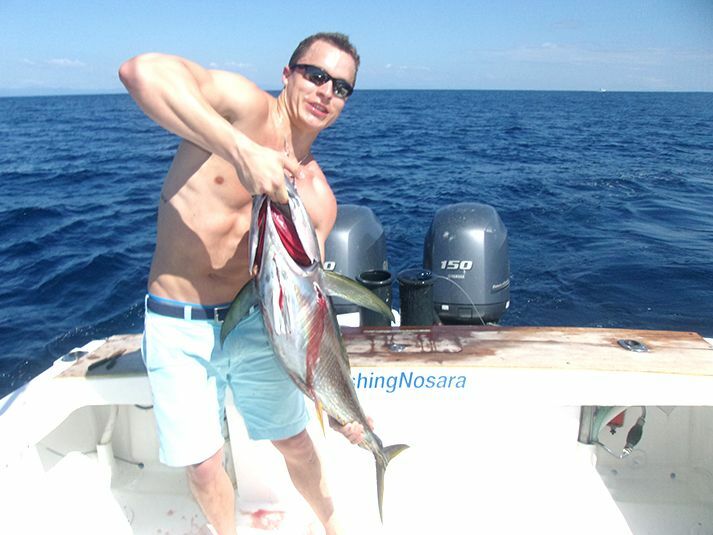 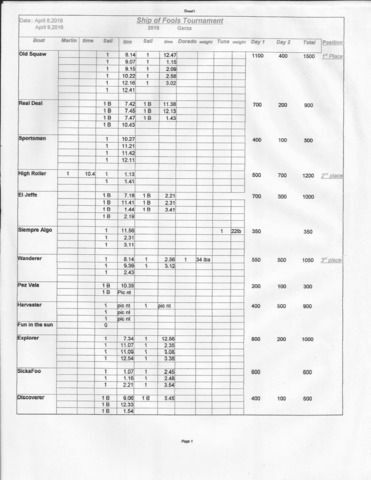 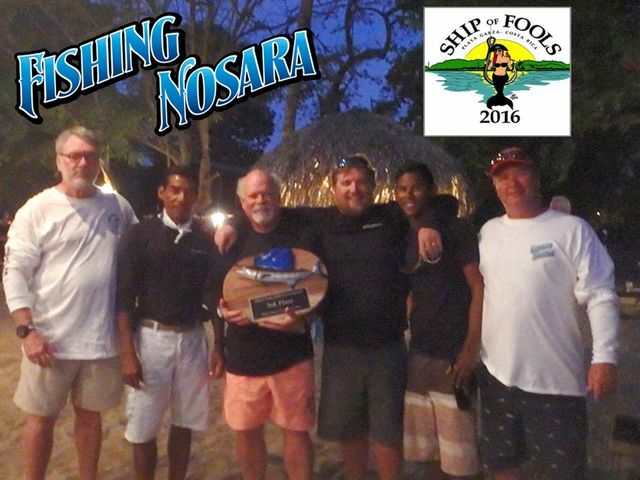 More importantly, all four FishingNosara boats were in the running for a top spot throughout the weekend. 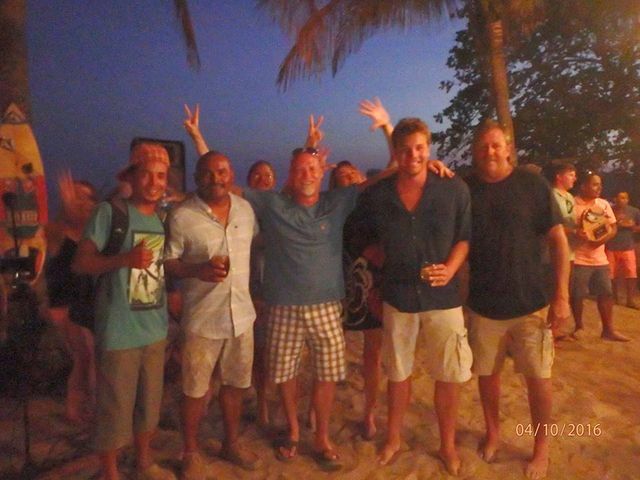 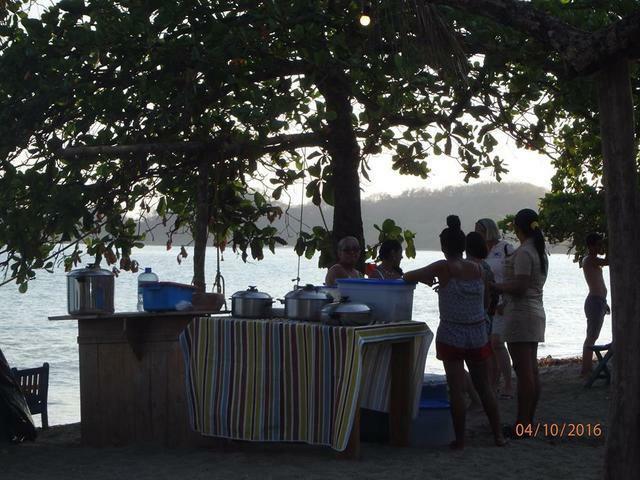 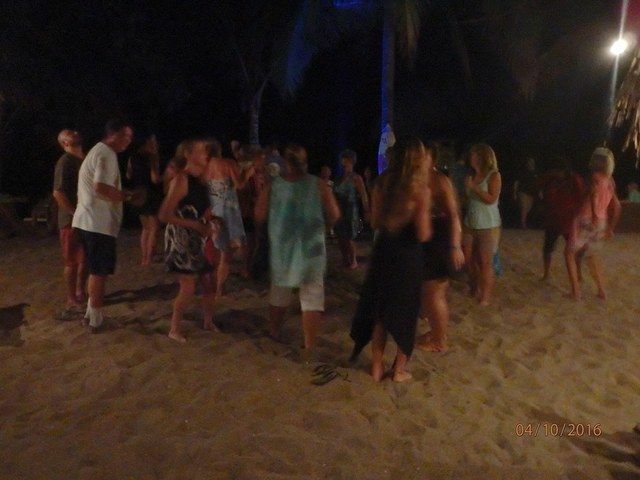 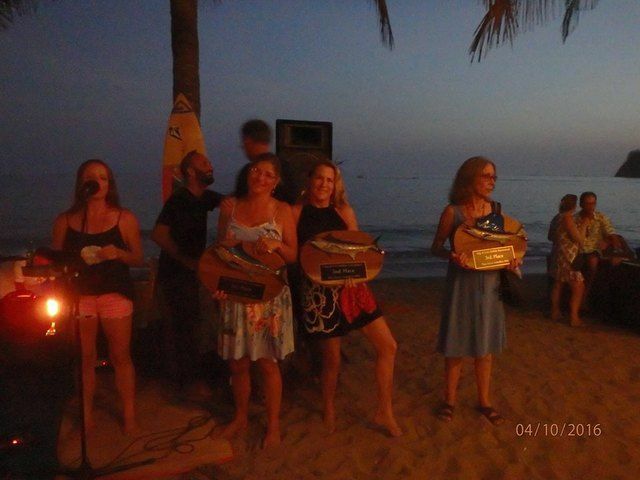 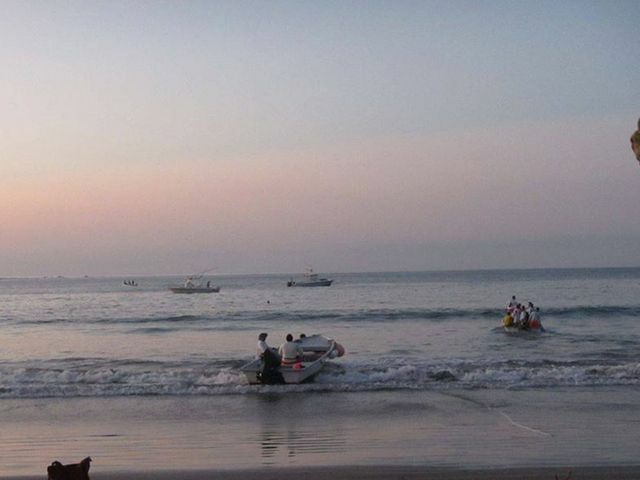 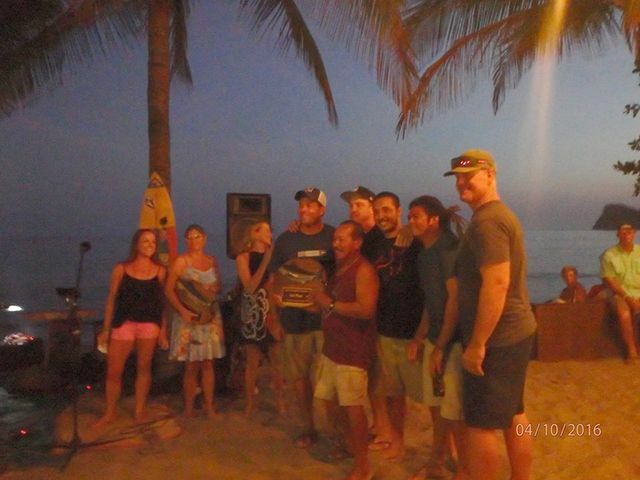 The tournament began early in the morning on April 8 as Garza Bay was buzzing with excitement. 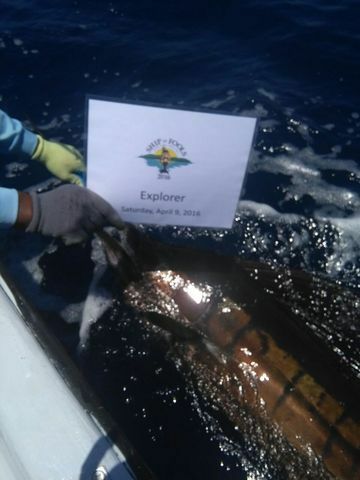 Captain Fico on the upstart Explorer was leading the team after the first day with seven Sailfish releases report by Roger Bowgen and his group. 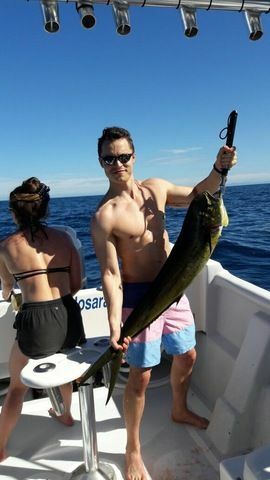 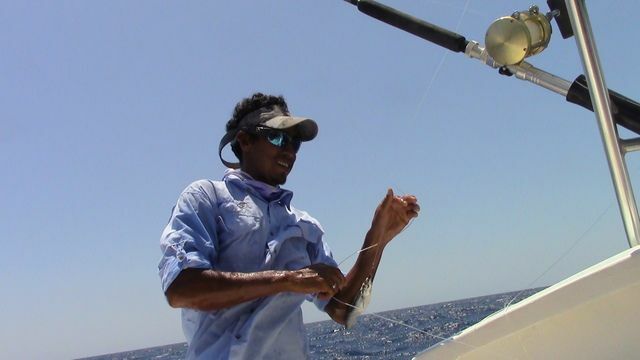 Captain William and the mighty Wanderer snagged six Sailfish plus a last-minute Dorado; meat fish serve up a potentially tie-breaking 25 points and would this one would turn out to be essential. 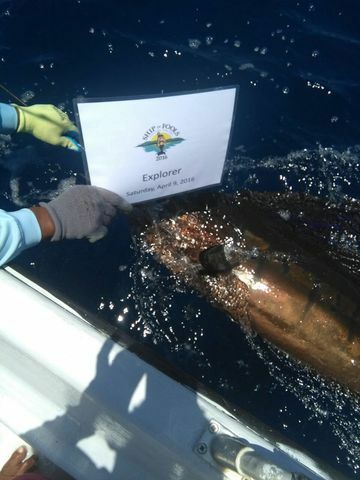 They actually released three more Sails, however the camera with those pictures got accidentally sent to Davy Jones’ Locker. 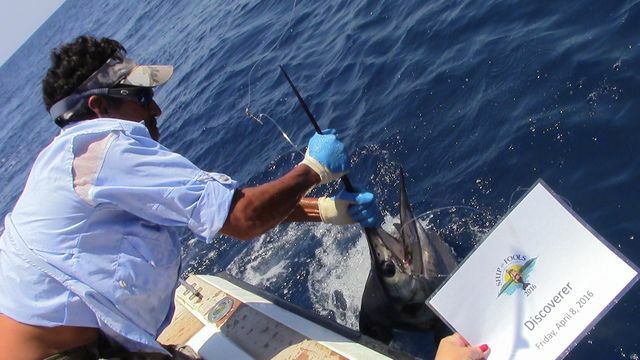 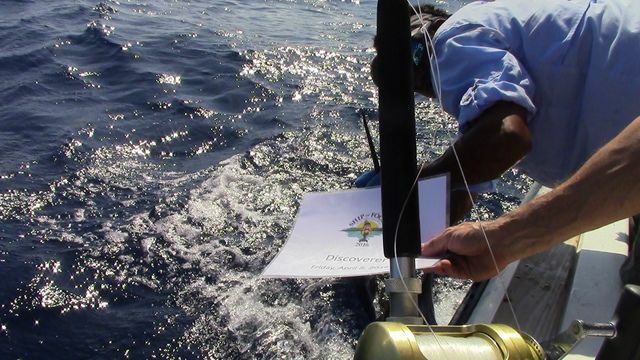 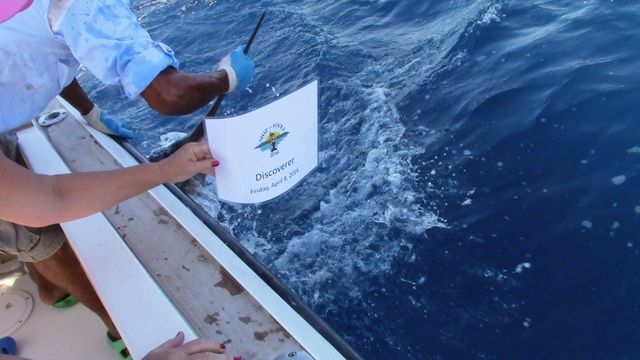 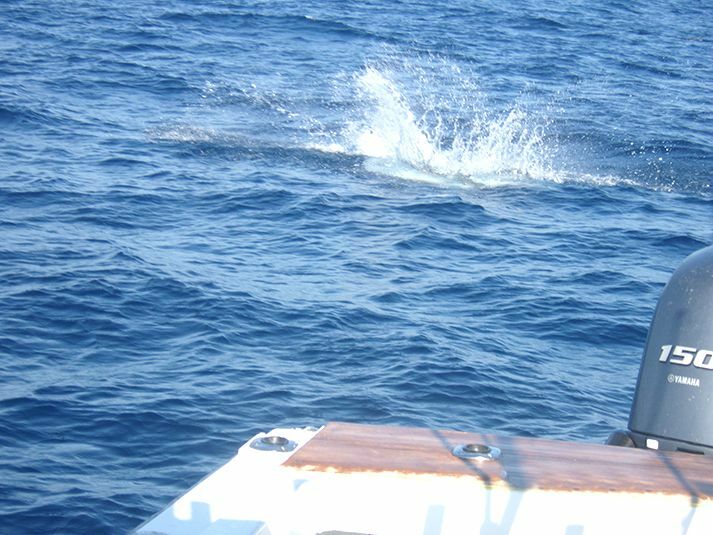 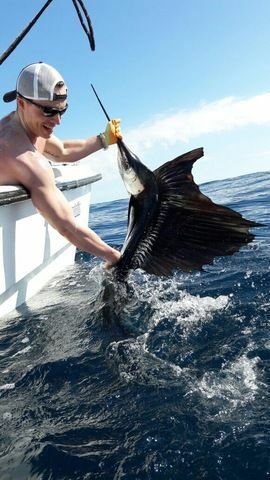 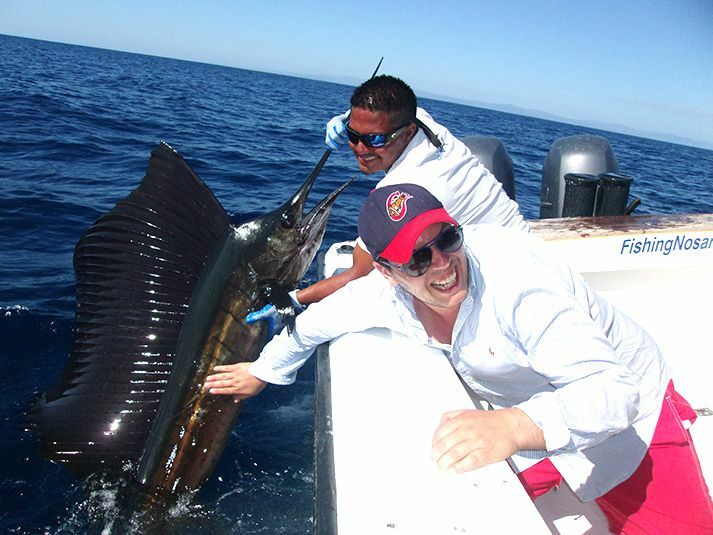 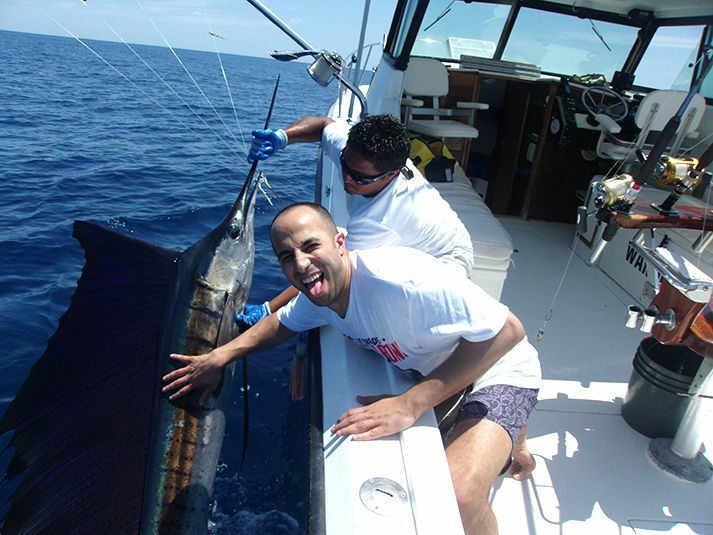 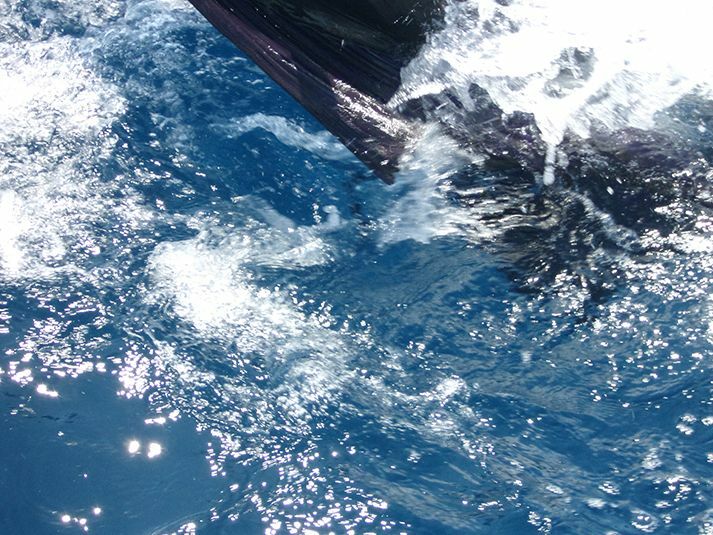 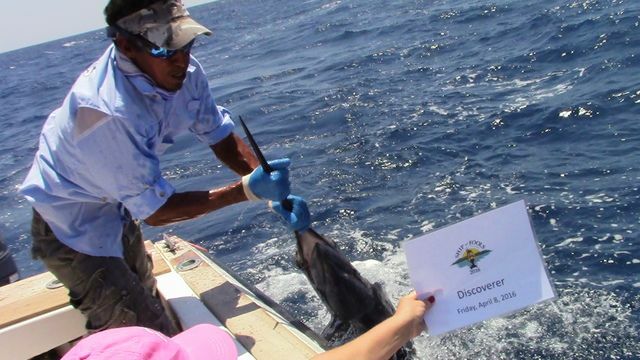 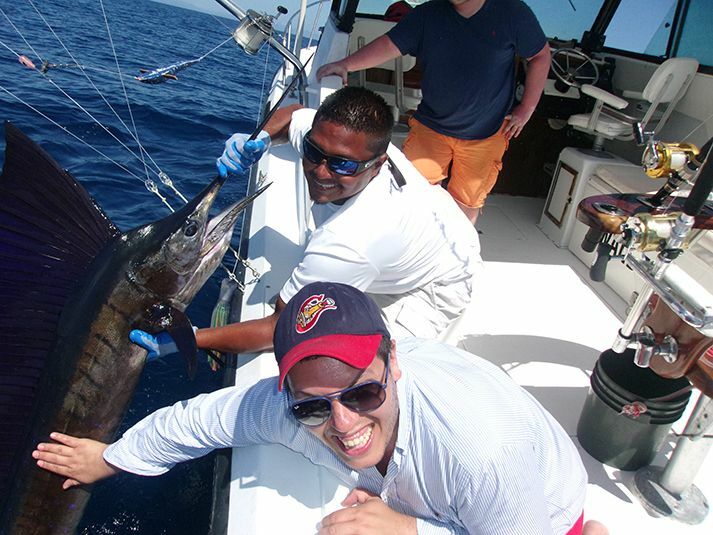 Matt, Craig, and Paula from the US Office rounded out the team’s results with four Sailfish released on the Discoverer. 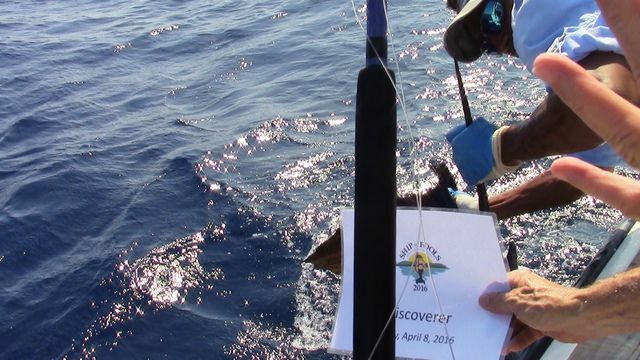 On the second day was a big decision: head North to try to catch the tail end of the swarm of fish that was yielding double-digit releases a week prior, or cut South and try to anticipate the next school. 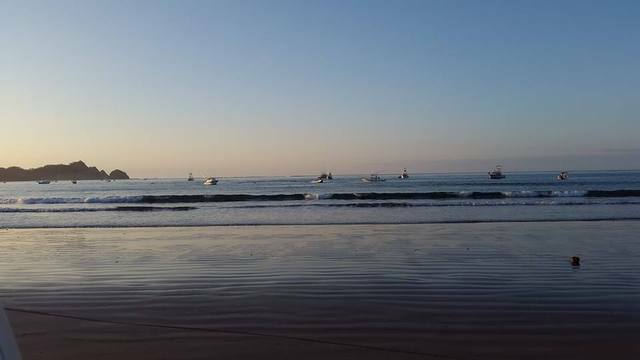 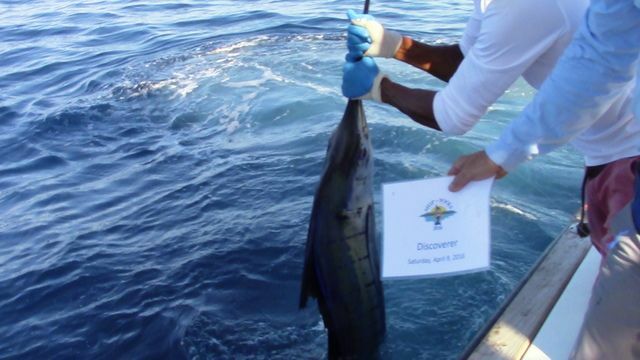 The Discoverer and Explorer went North, and that decision proved to not be the right one as only four fish were caught between the two boats. 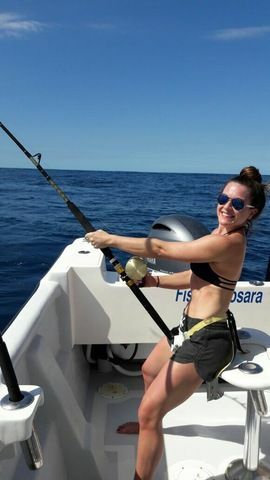 We took advantage of every bite, but there just weren’t enough fish to stay at the top of the scoreboard. 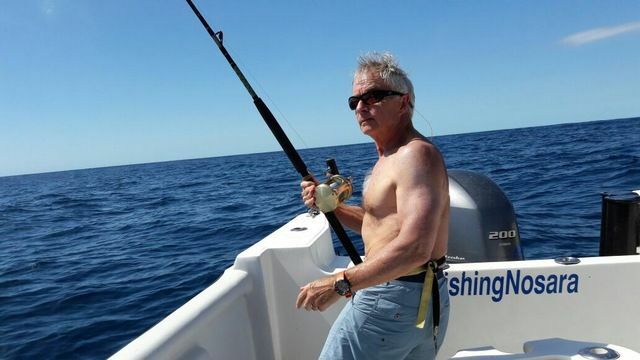 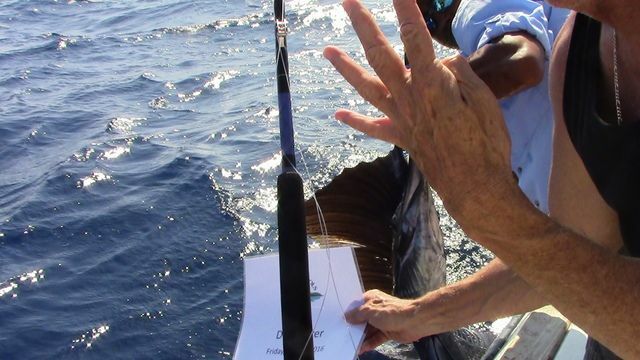 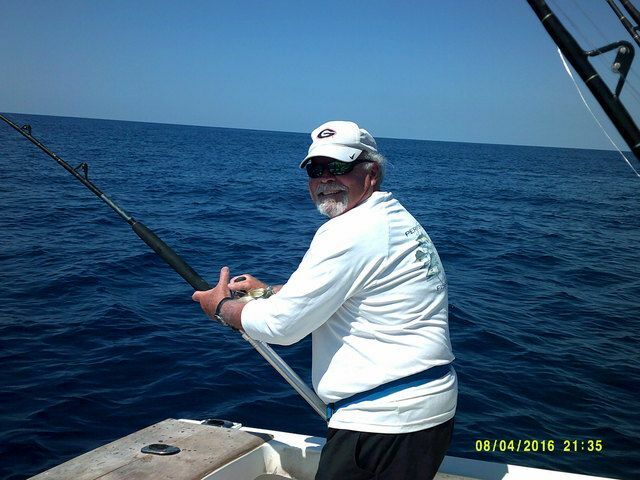 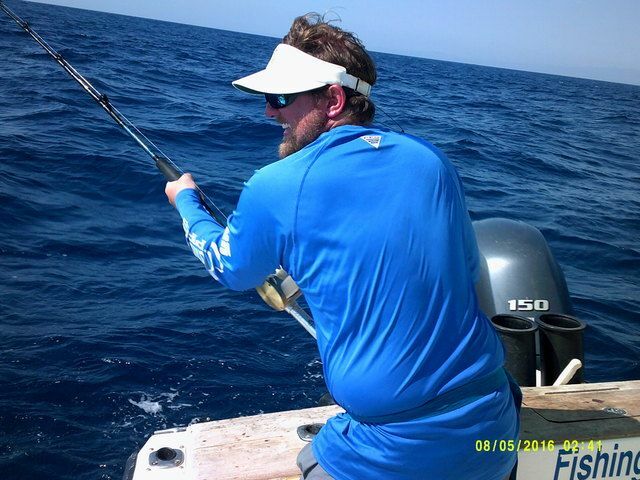 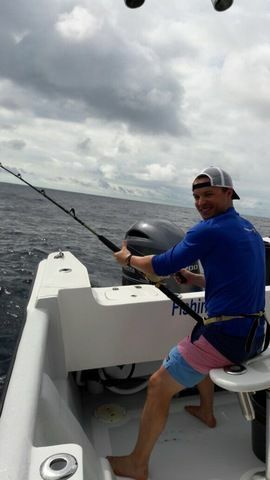 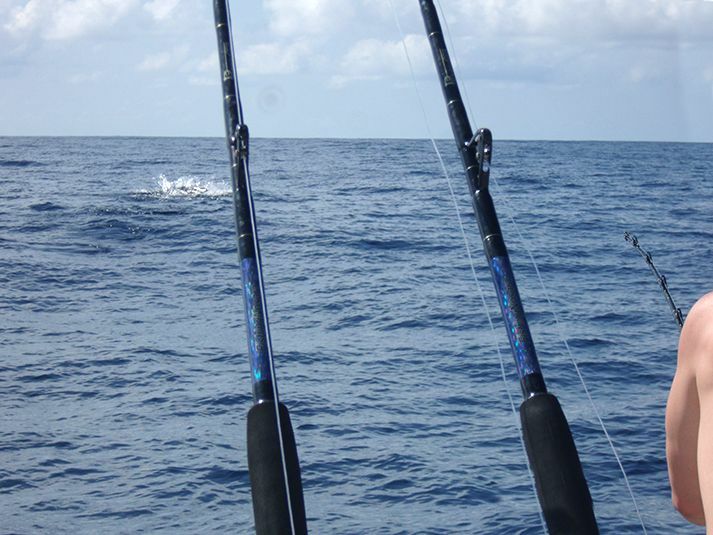 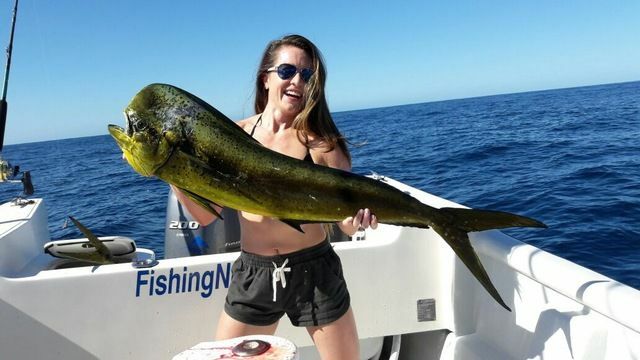 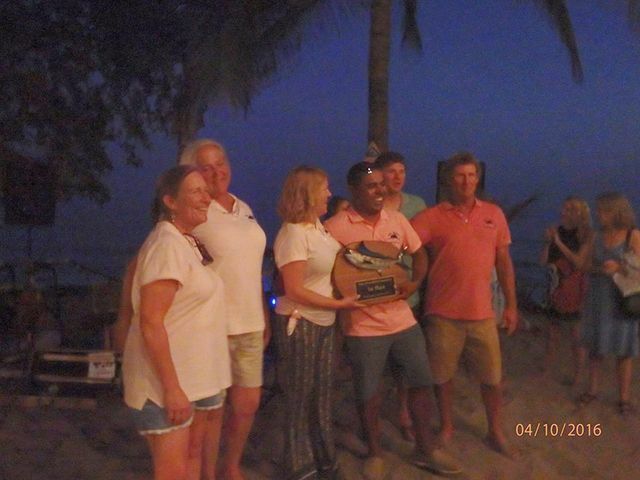 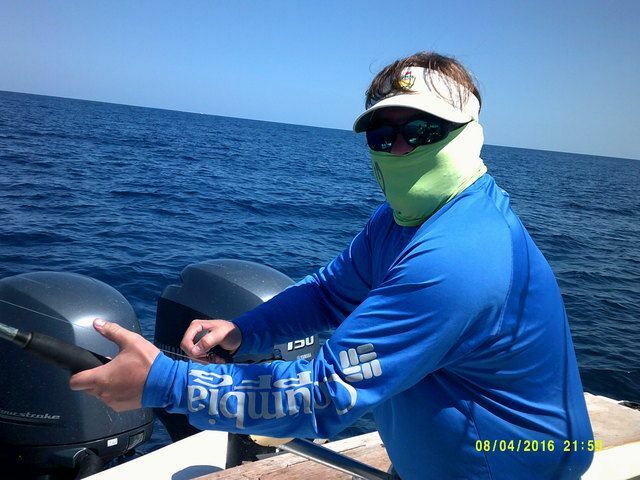 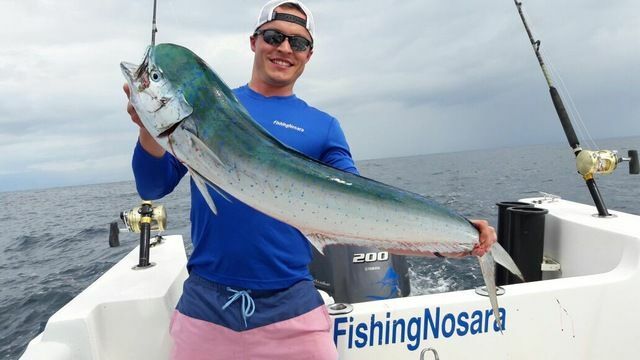 The Harvester and Wanderer went South and they hit paydirt with multiple Sailfish and Marlin releases…Marlin are worth triple the points of a Sailfish in this tournament. 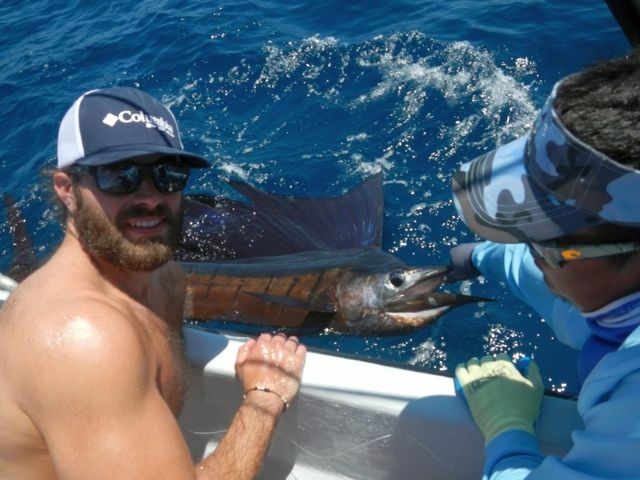 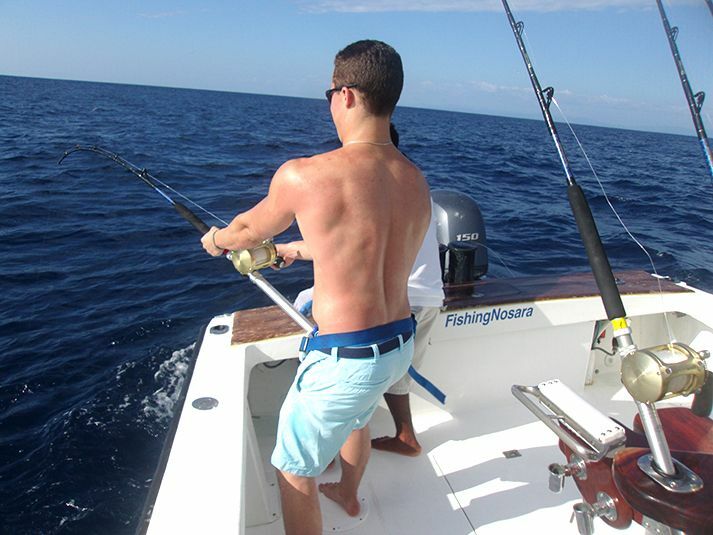 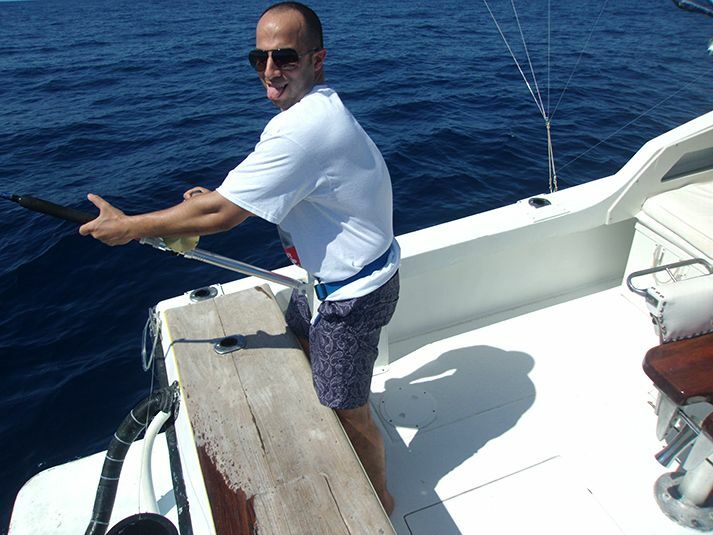 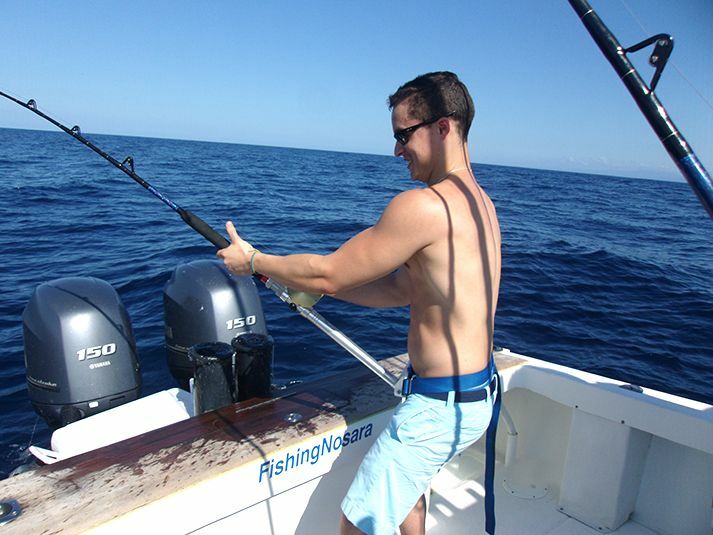 Captain Alex kept his momentum up from a productive first day and captured several more Sailfish releases. 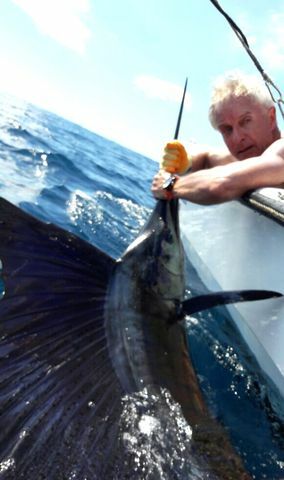 Captain William scored the big fish of the day with Bob Pease’s epic 2 hour fight ending in a MASSIVE Blue Marlin release. 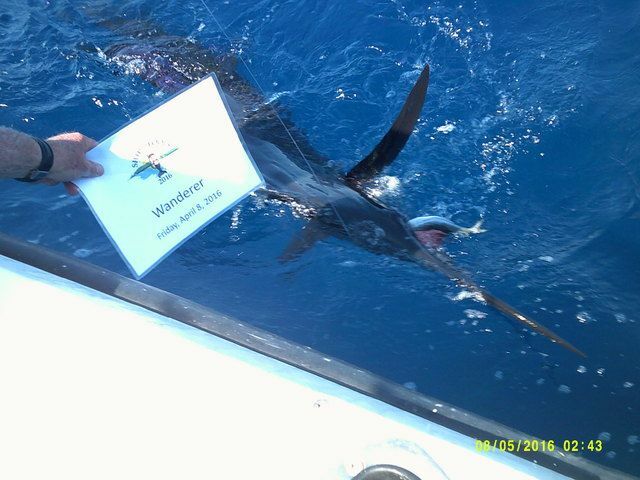 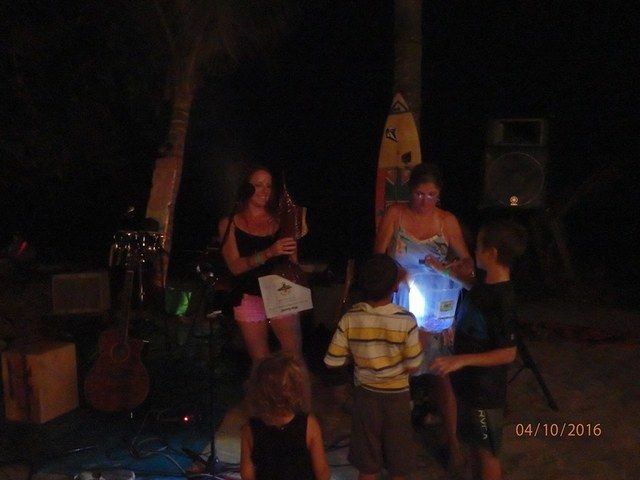 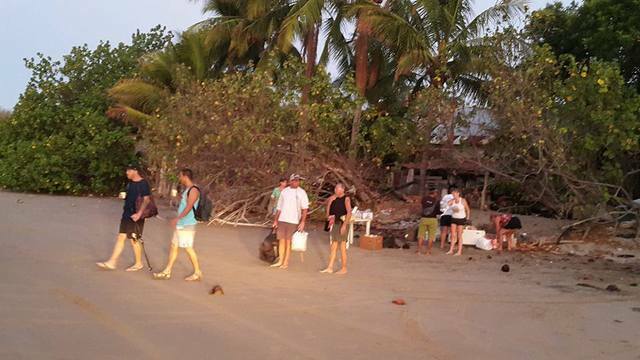 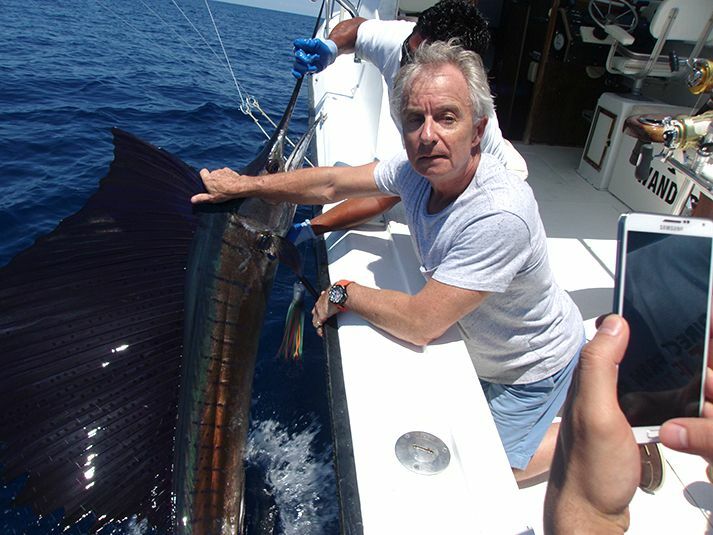 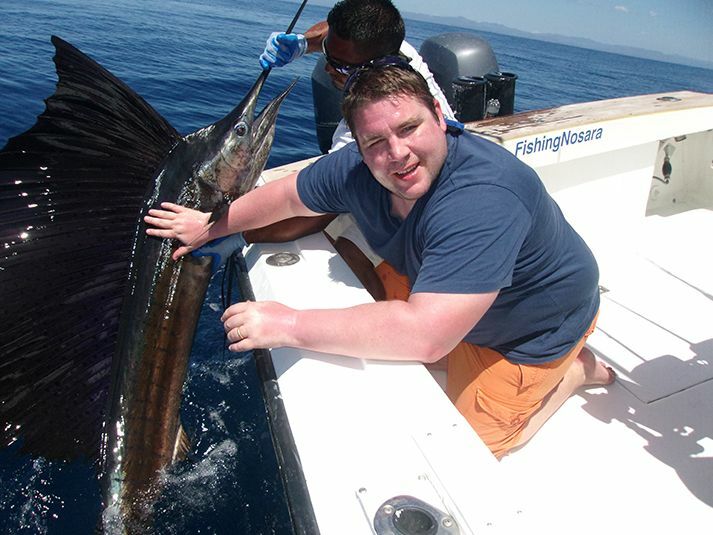 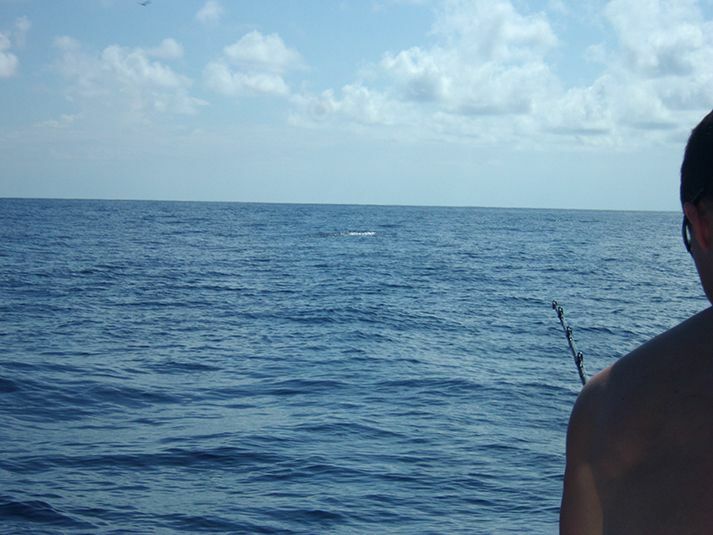 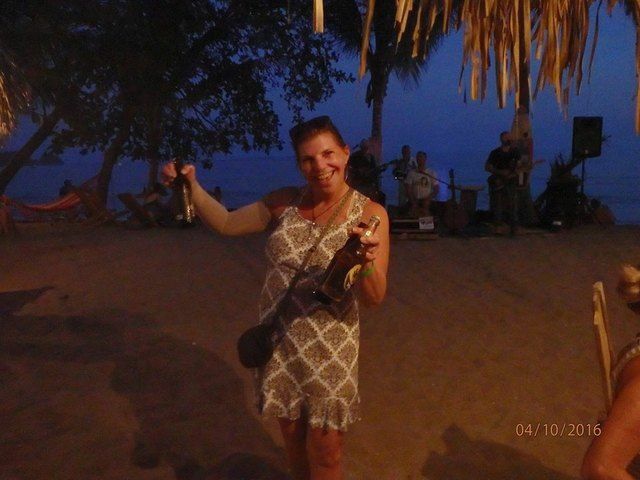 The Wanderer made up for the time lost fighting the big fish by closing the day with a Double Sailfish release. 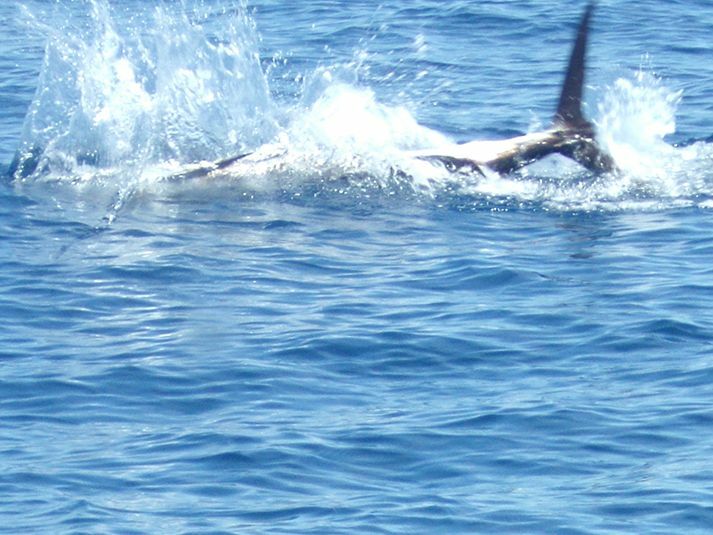 This flurry of billfish action late on the second day propelled the Wanderer into the money for the third time in four years. 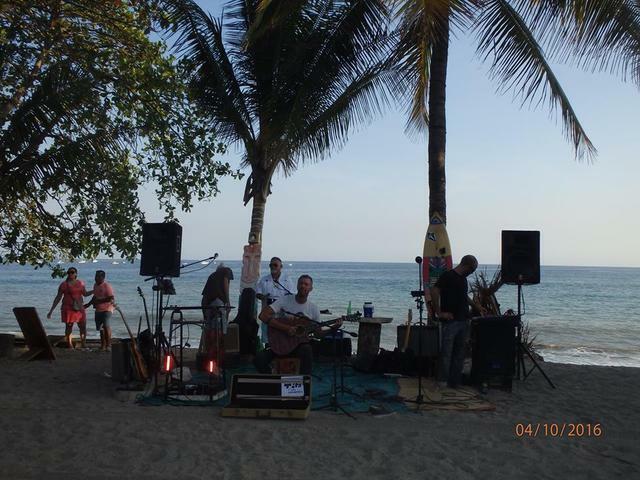 Great food, great music, and great times were had by all the teams and all of the Garza community came out to celebrate. 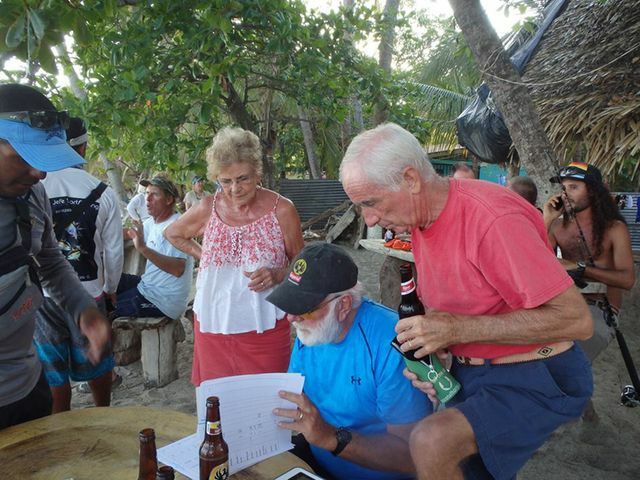 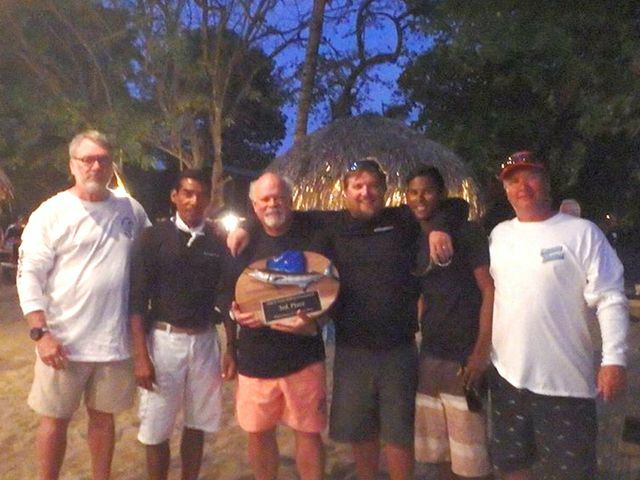 As always the events were run masterfully by the Tournament Staff including Marlin Bill, Angie, and the Judges. 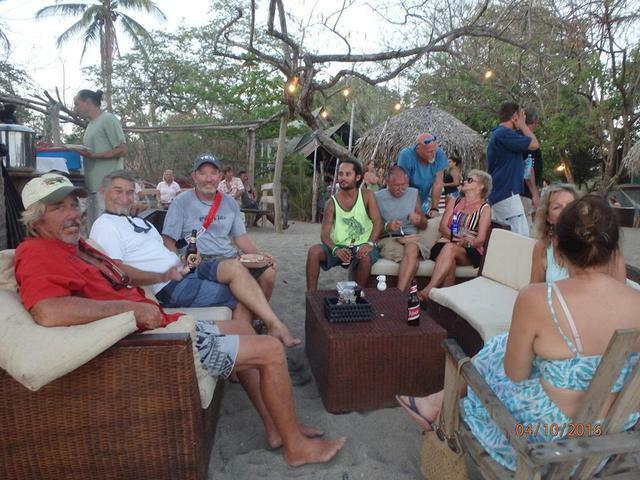 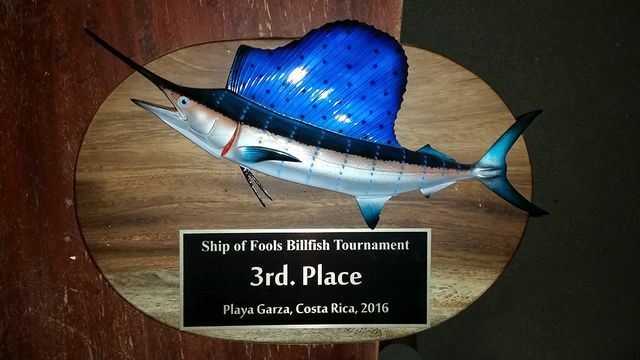 We look forward to competing in the 2017 Ship of Fools Tournament and once again seeing FishingNosara boats challenging for the top spot. 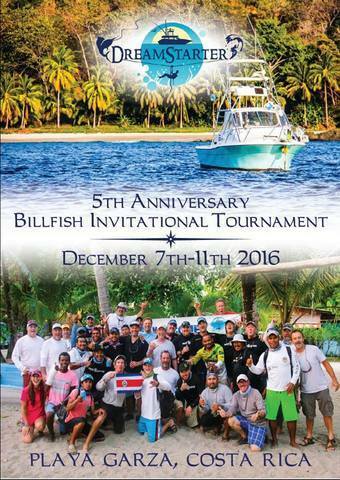 If you have what it takes, get your best anglers together and reserve your spot in this event. 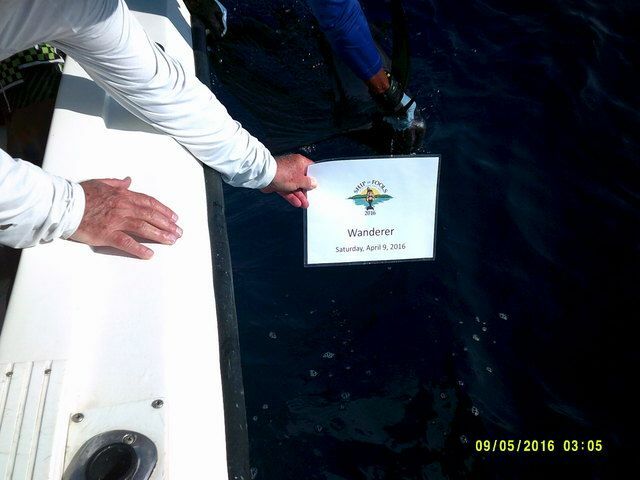 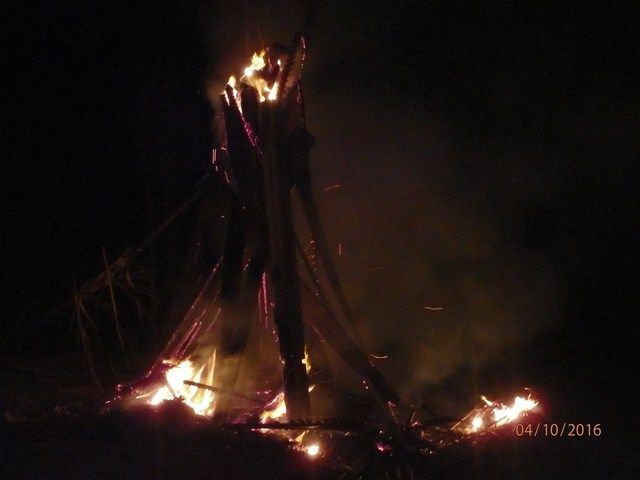 The Roger Bowgen group split up between the Discoverer and Wanderer on March 2 and the youth movement was on with Captain William. 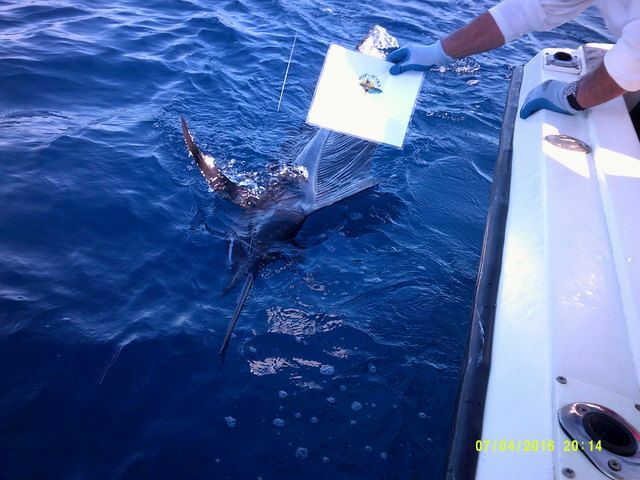 The boys scored a nice streak of Sailfish releases. 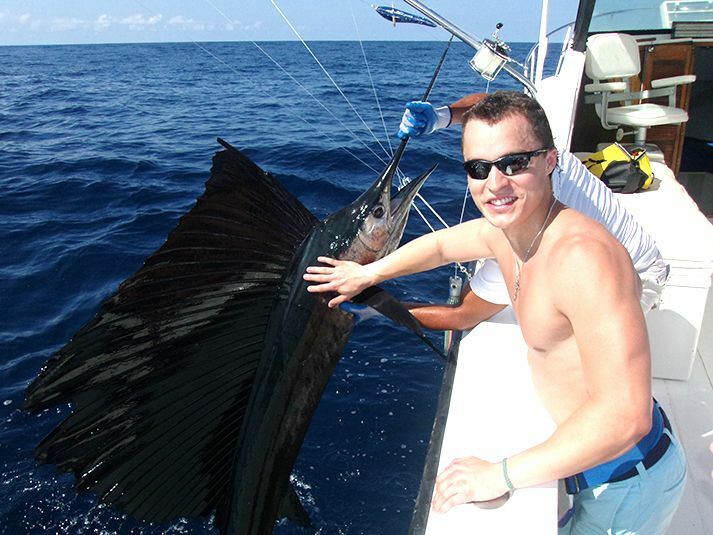 Everyone in the group got a crack at these sweet Sails, and the team scored eight total releases on the day. 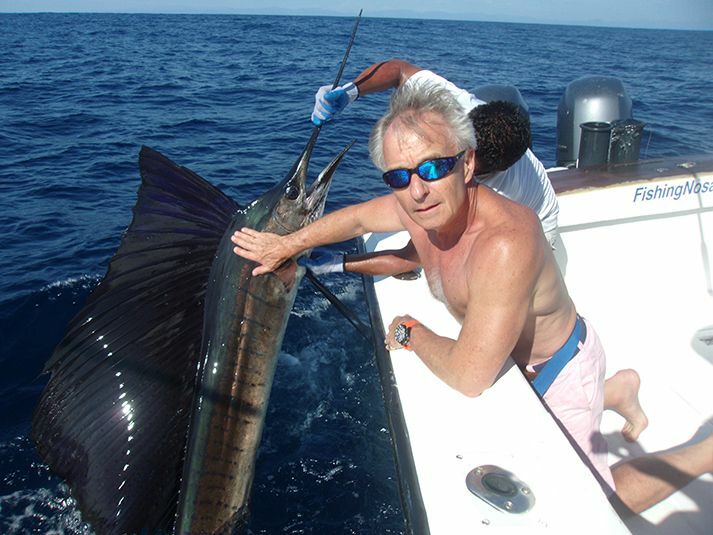 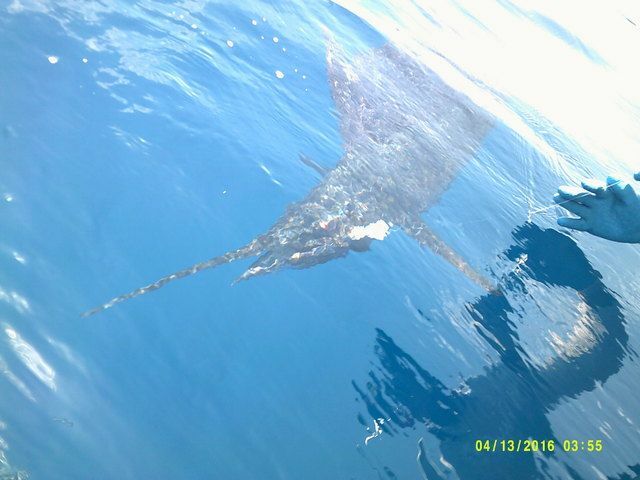 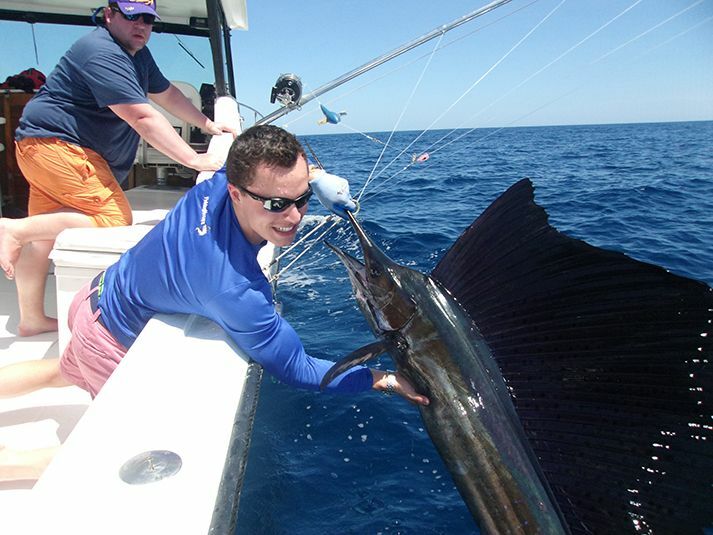 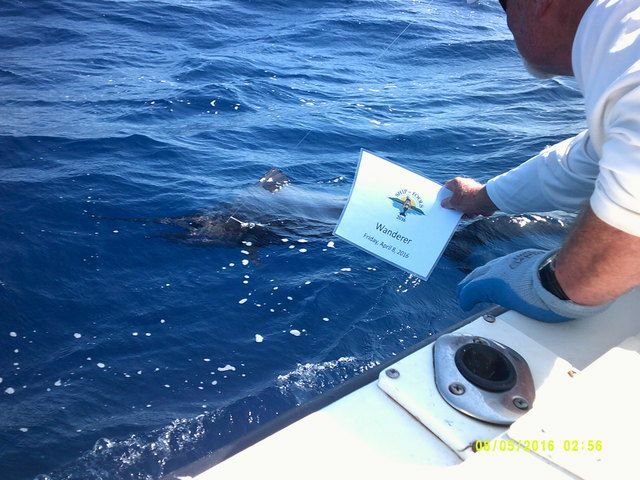 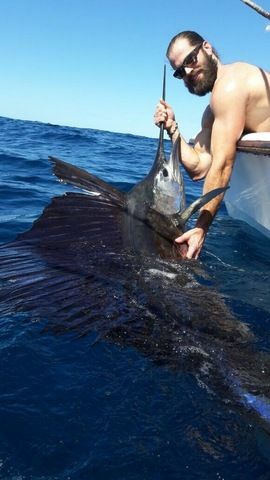 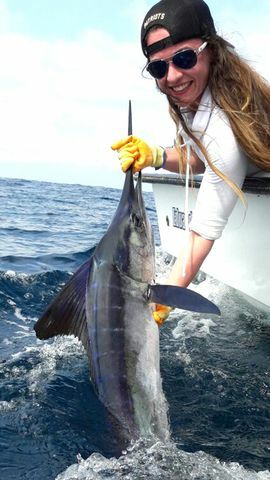 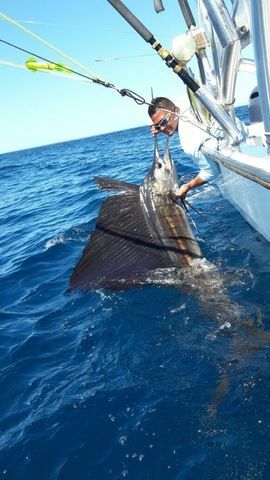 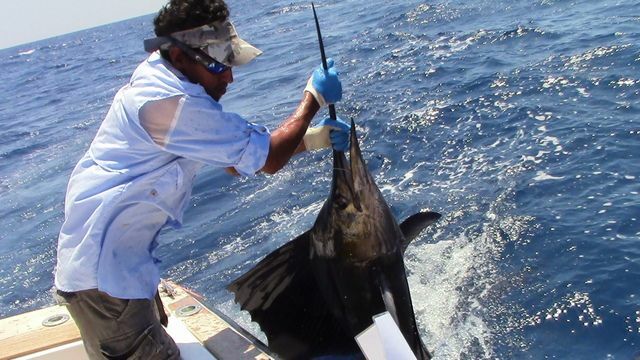 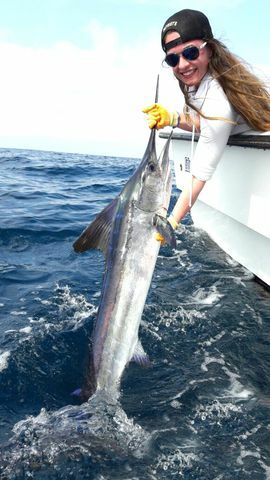 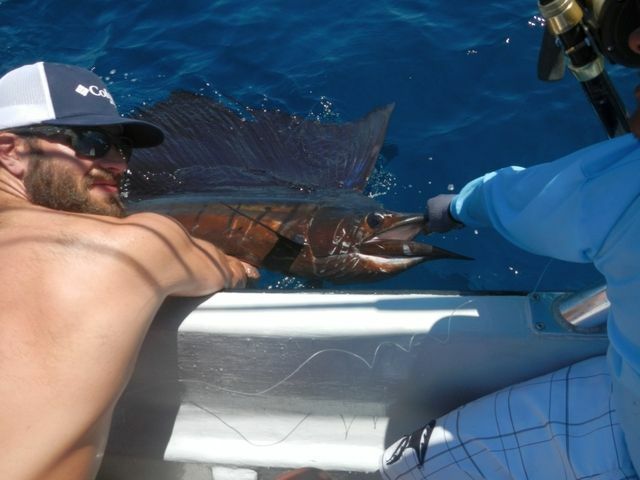 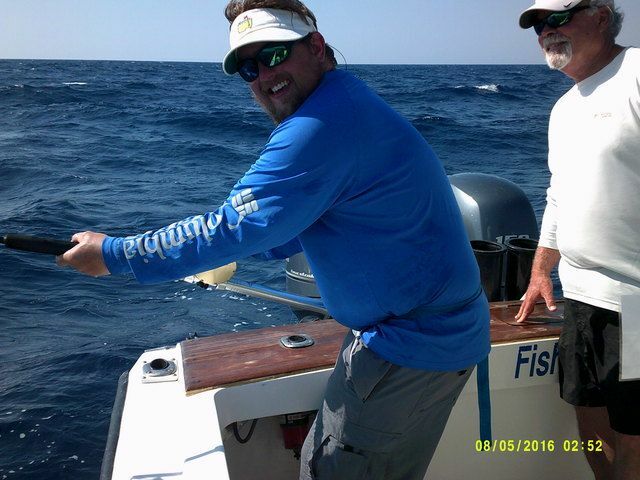 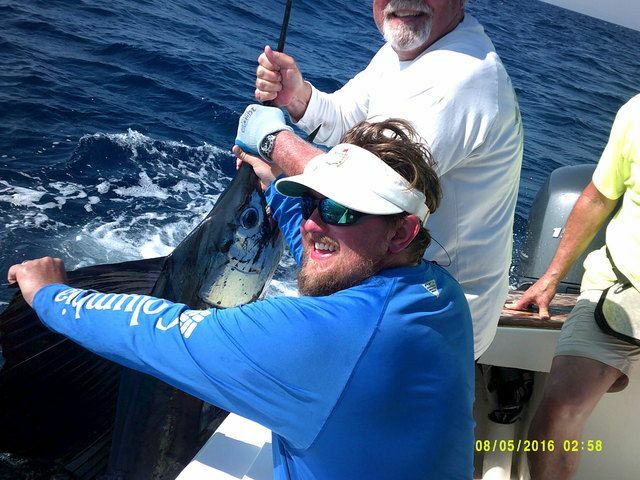 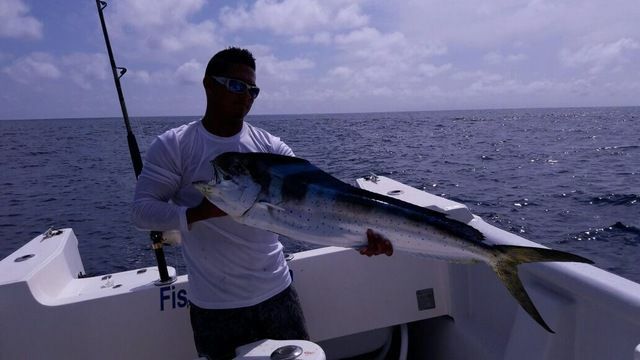 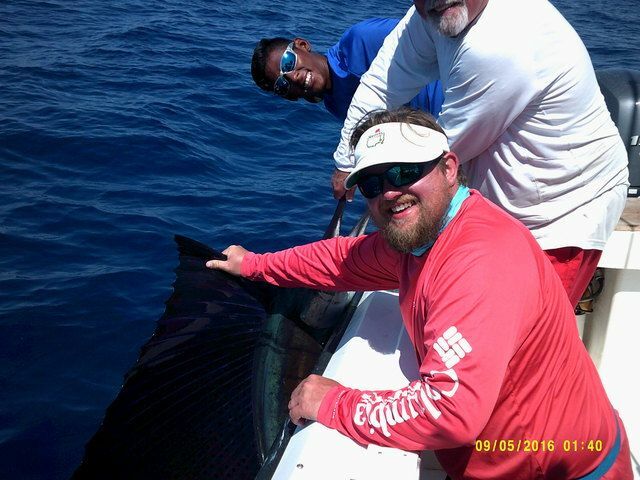 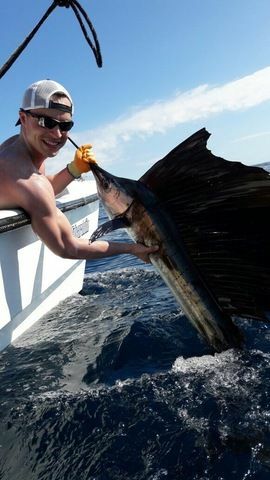 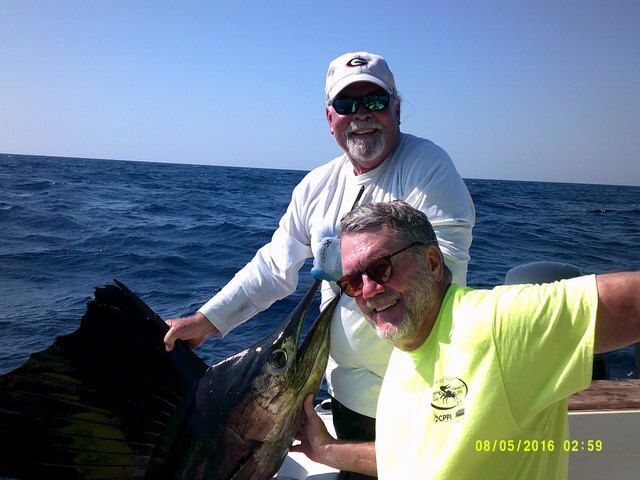 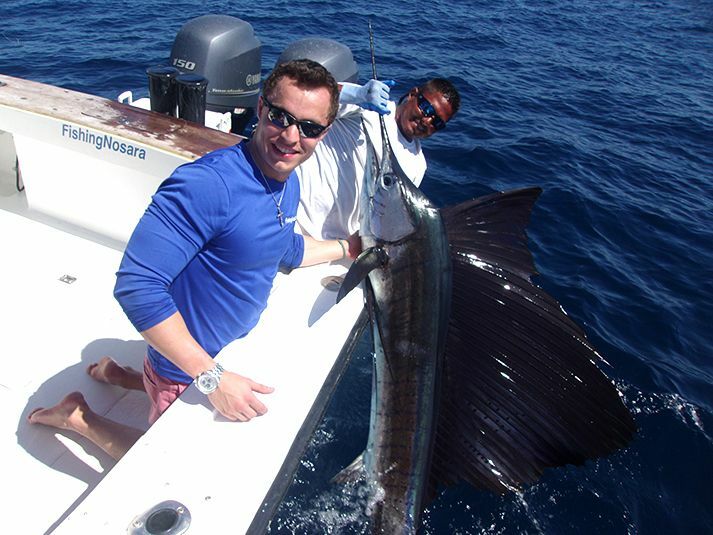 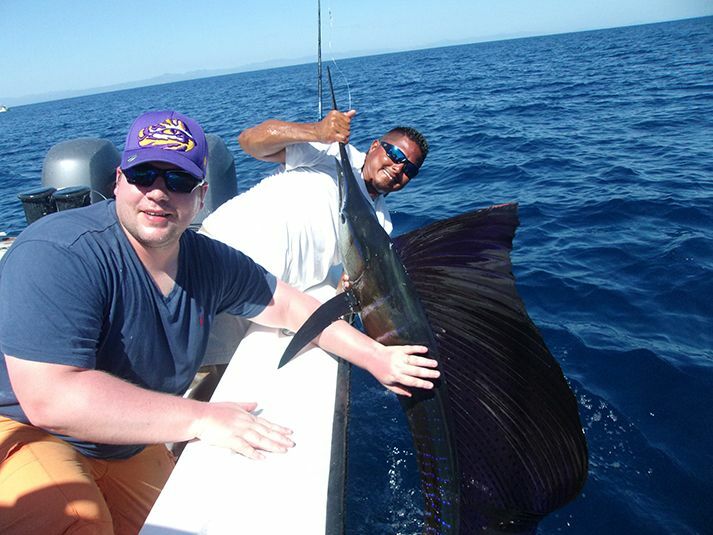 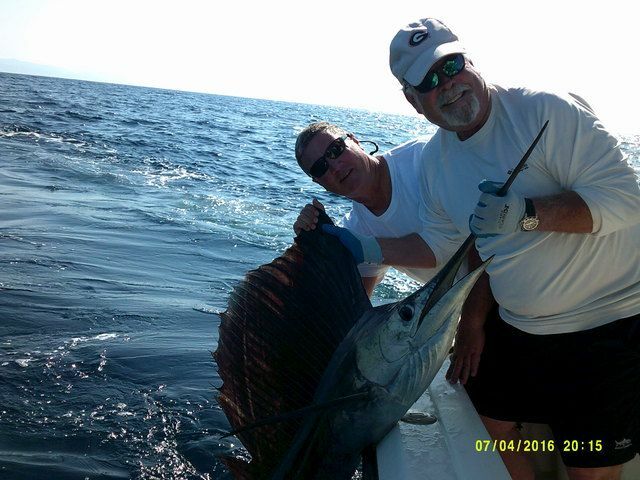 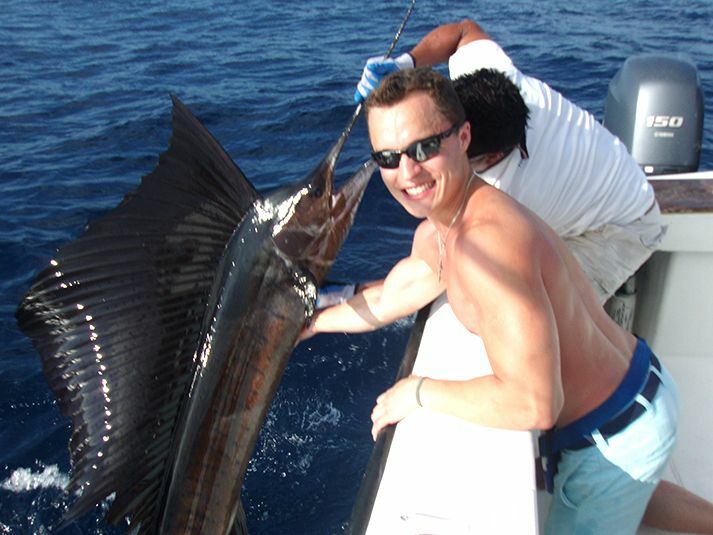 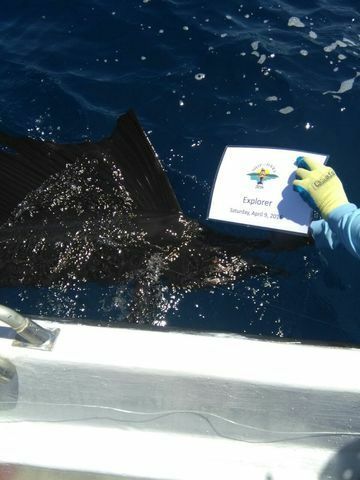 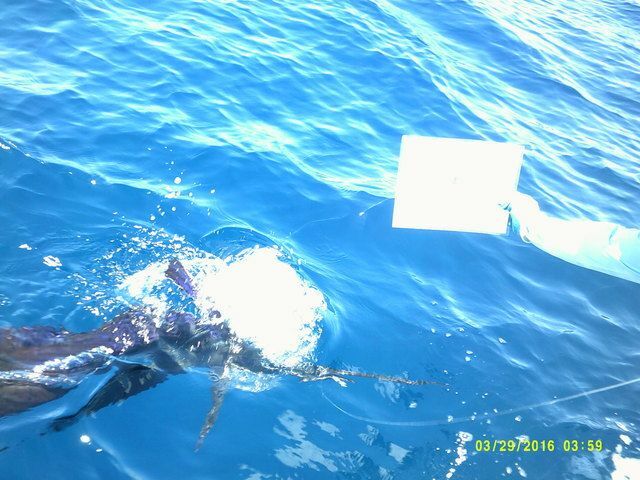 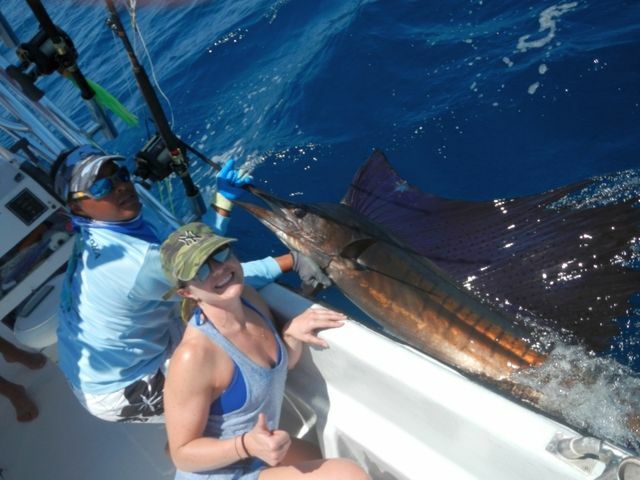 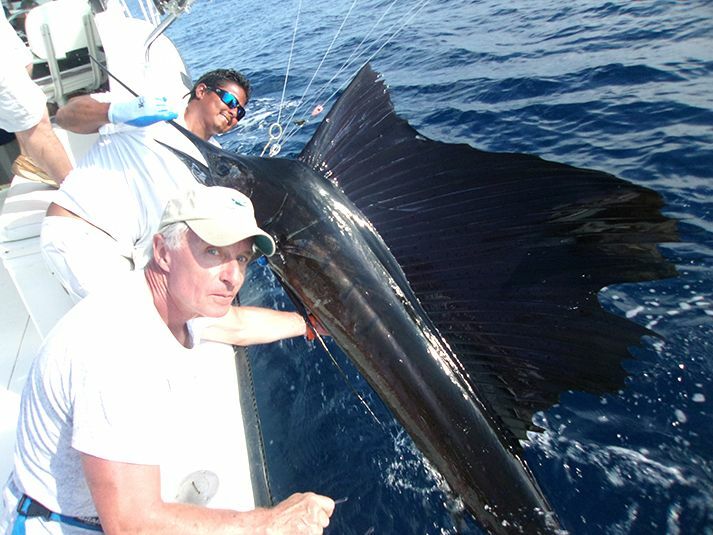 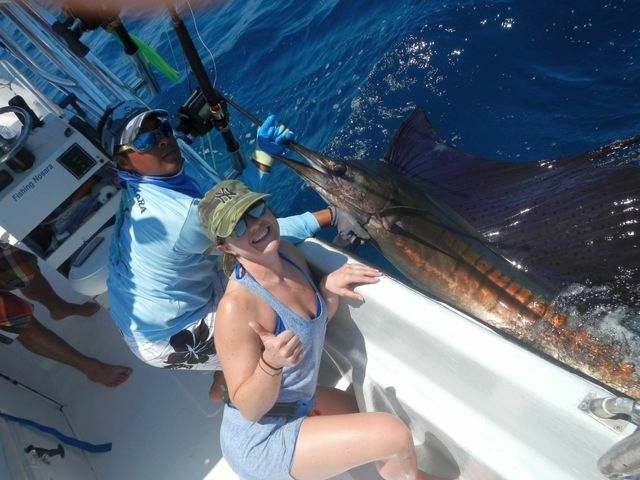 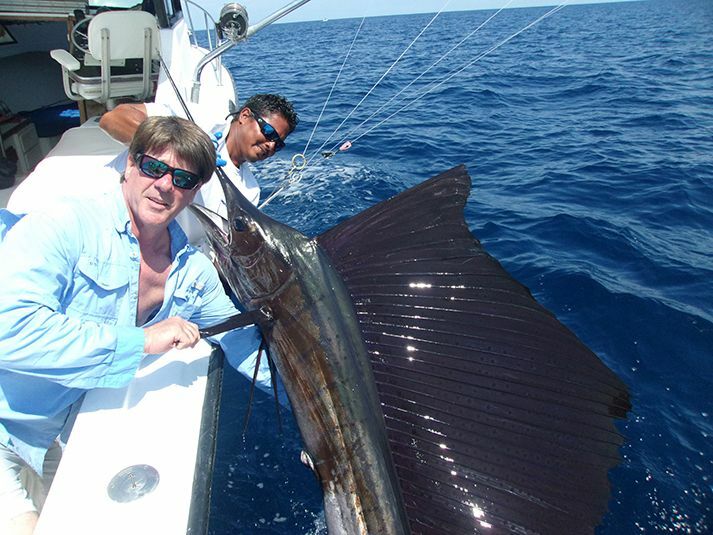 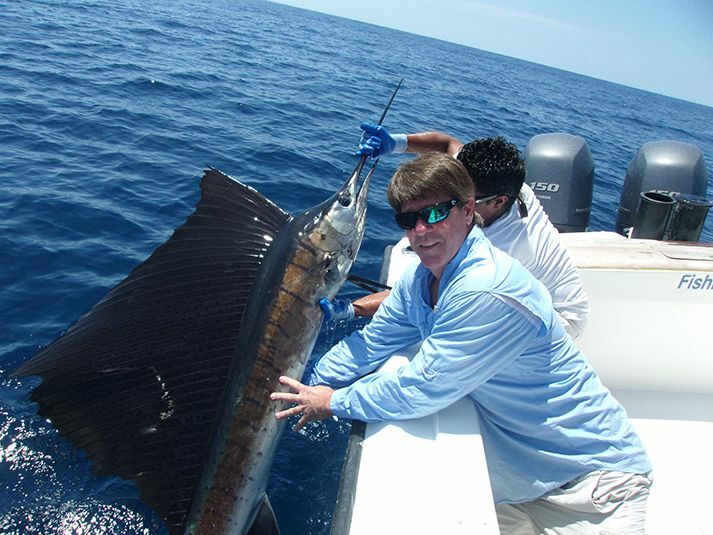 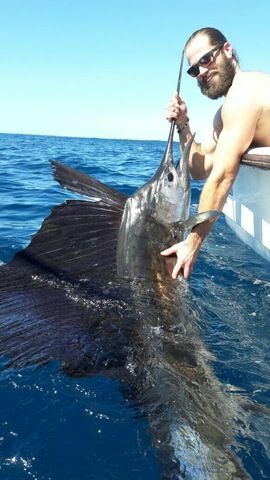 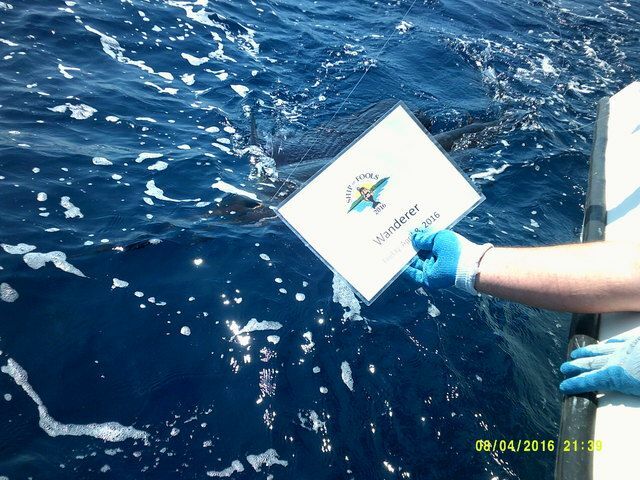 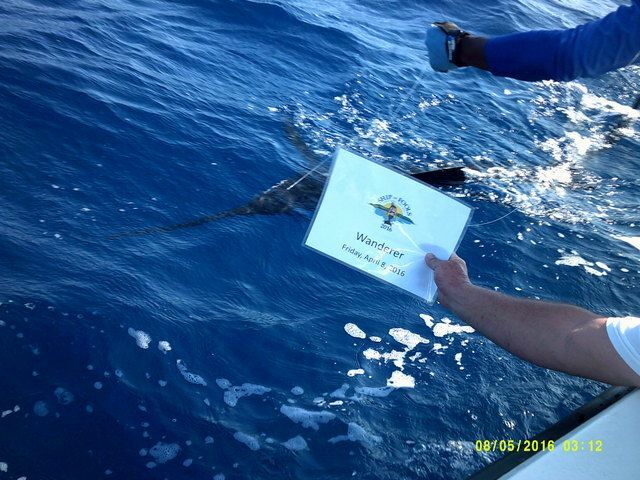 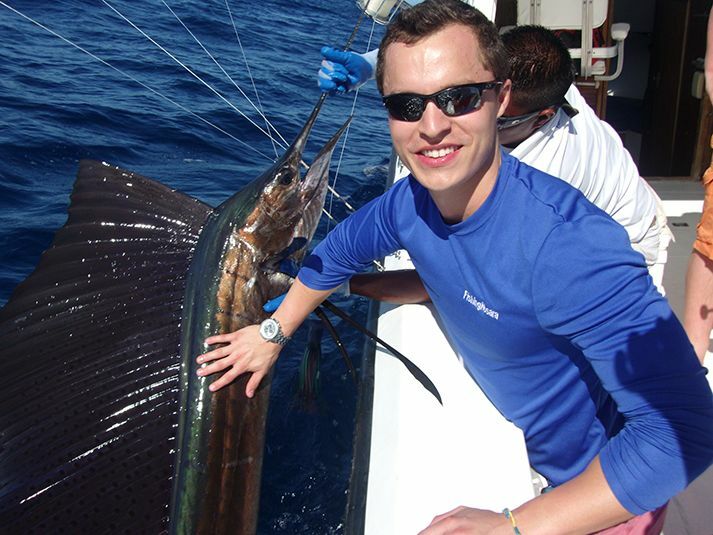 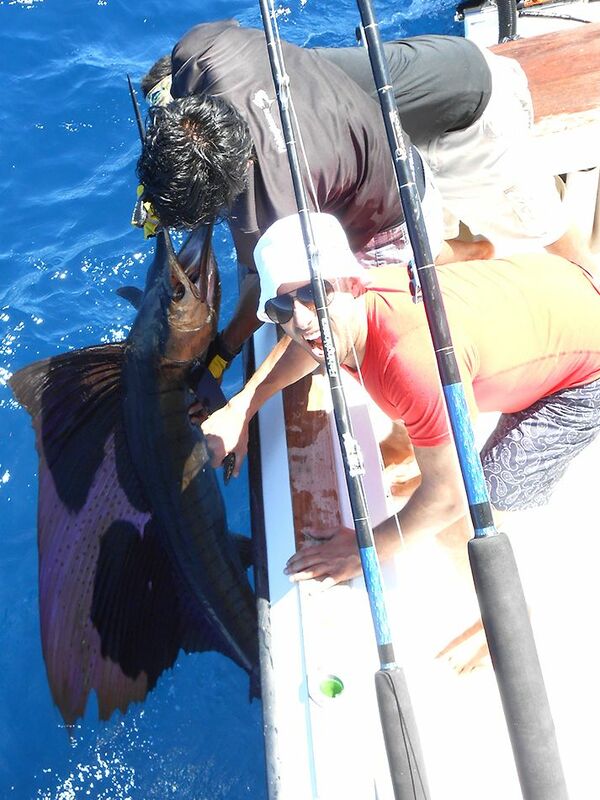 The Discoverer kept the Roger Bowgen group on the leaderboard with this nice Sailfish released on March 2. 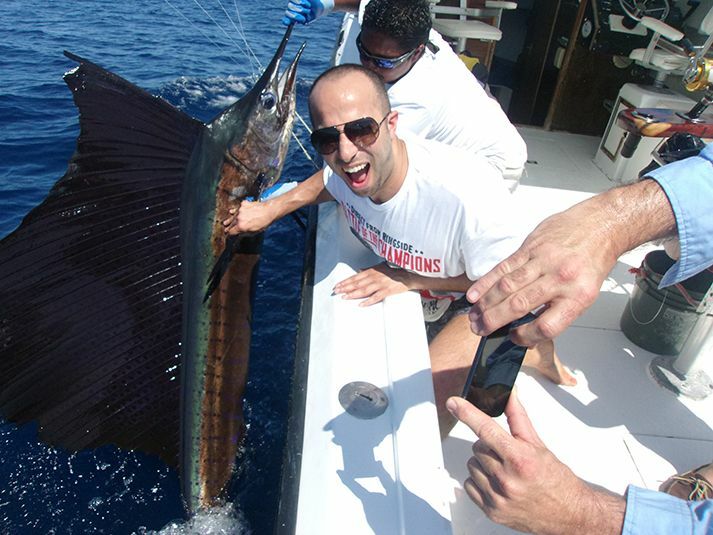 Great fish handling by Mate Juan Carlos to see this beauty released. 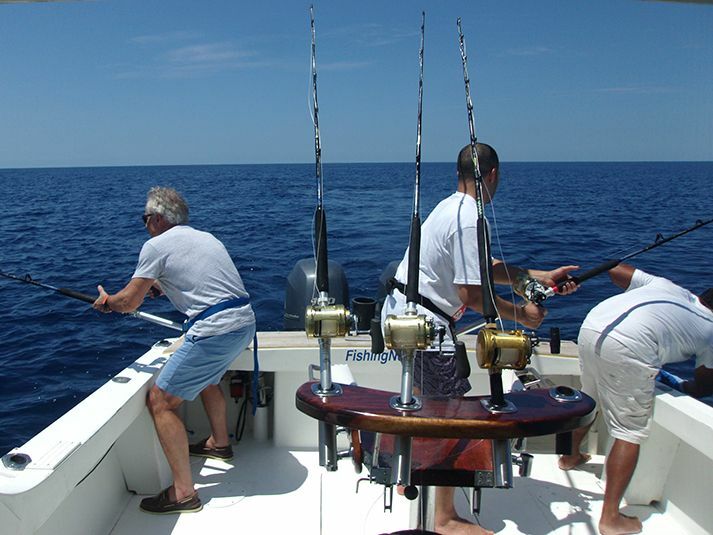 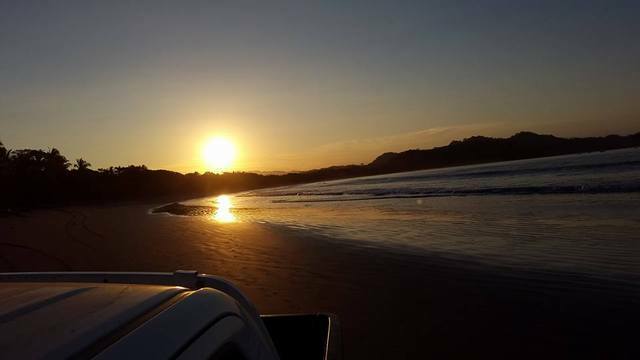 Roger Bowgen and his posse returned to the Wanderer for a fantastic full day trip to the blue water. 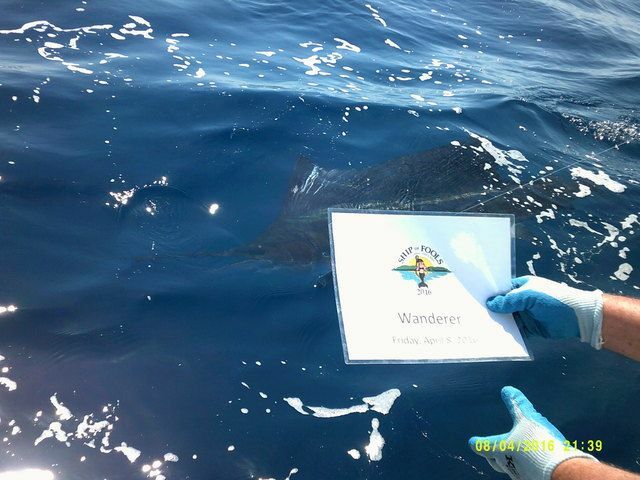 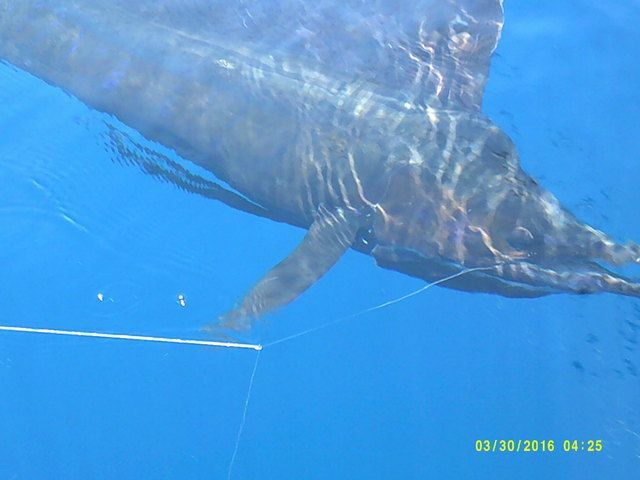 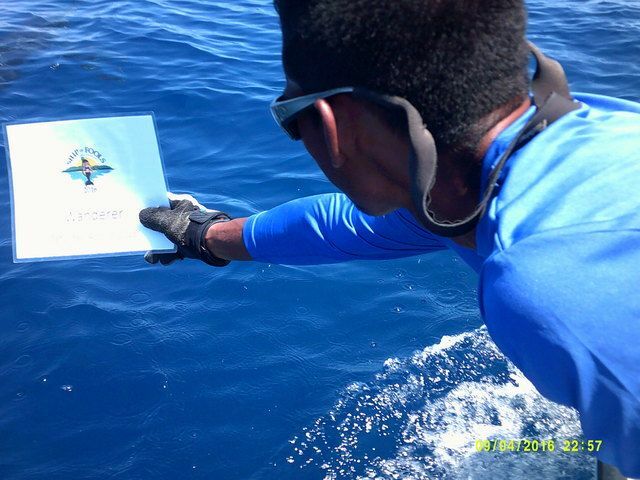 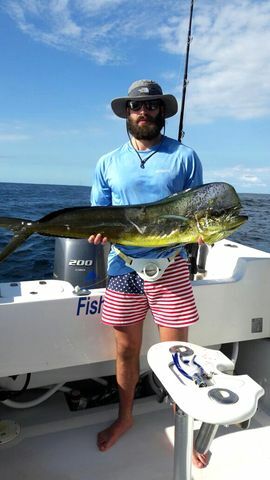 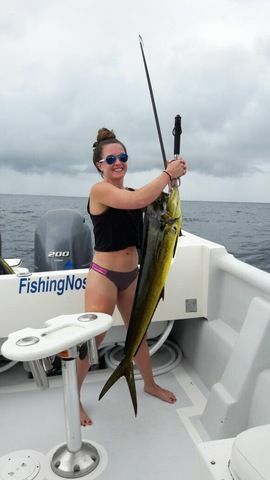 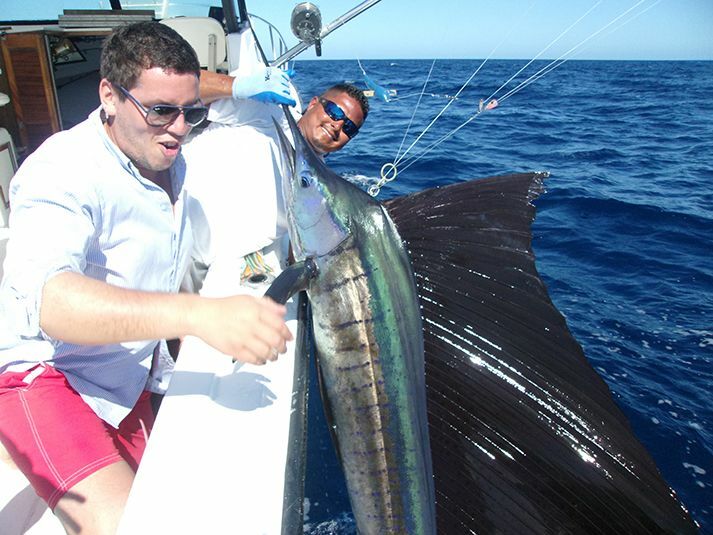 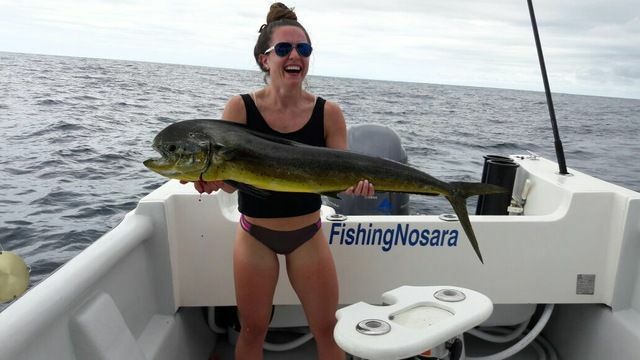 They scored two early releases, then got a taste of the Wanderer‘s true might with a Double Sailfish release. 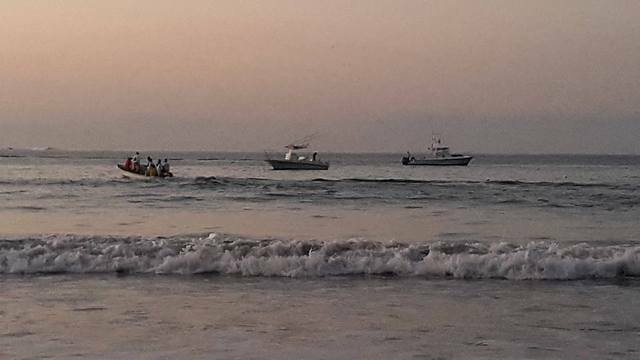 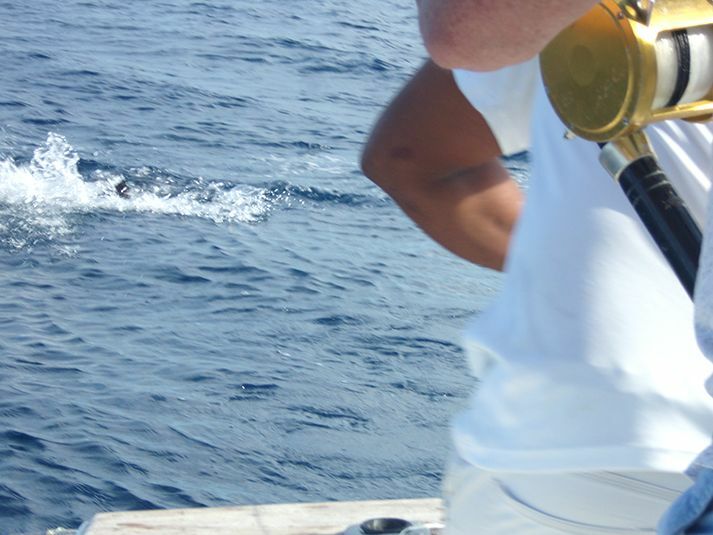 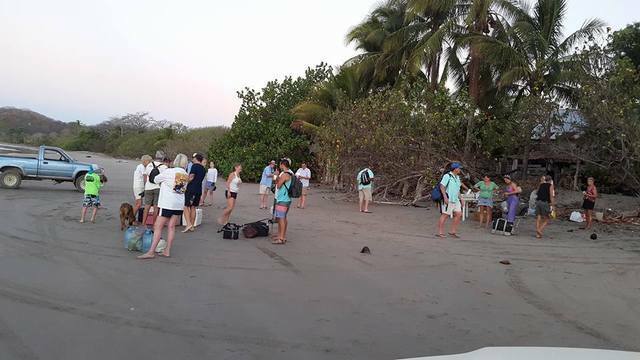 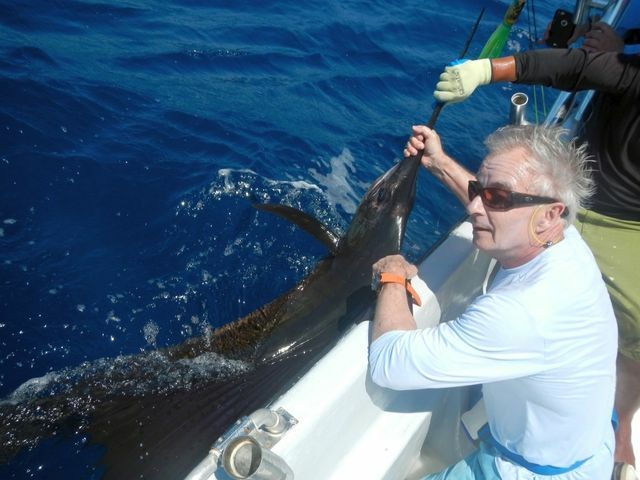 The action stayed strong all day, with eight total Sailfish releases by sundown. 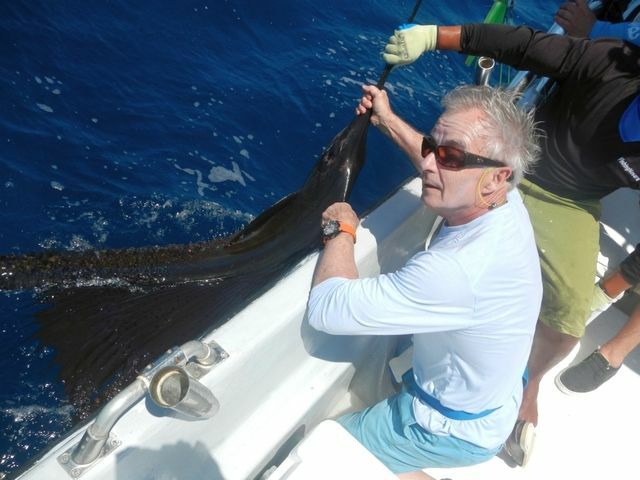 Roger Bowgen doubled-down on his first great day of fishing with another world-beating performance with Captain William on December 20 with ANOTHER Mighty Marlin release! 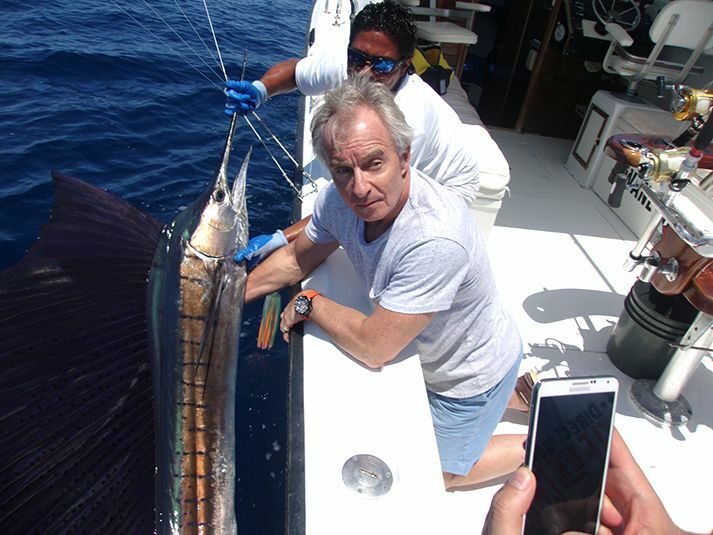 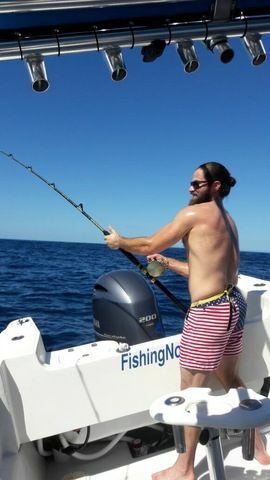 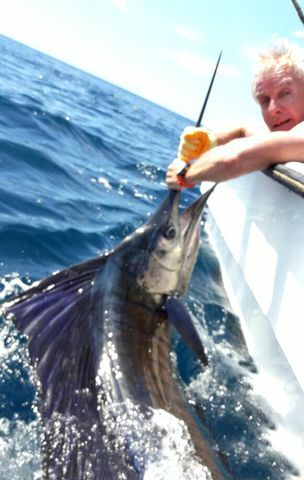 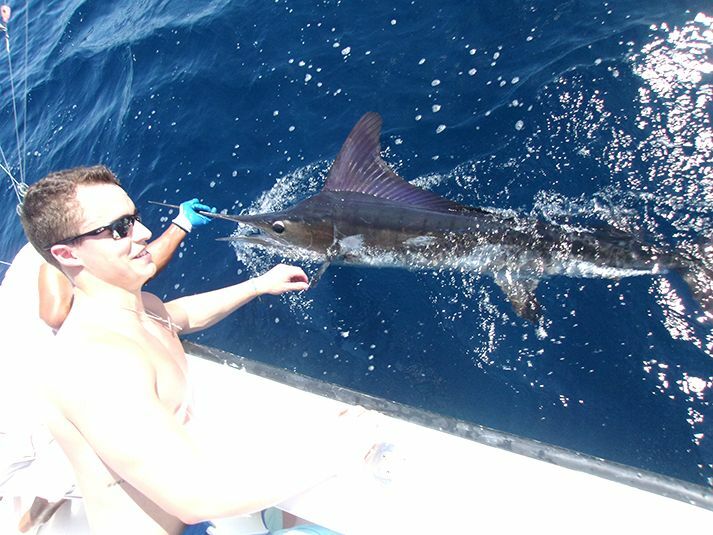 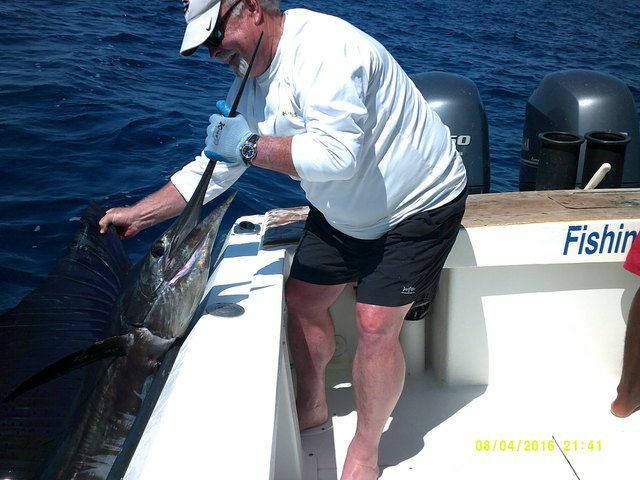 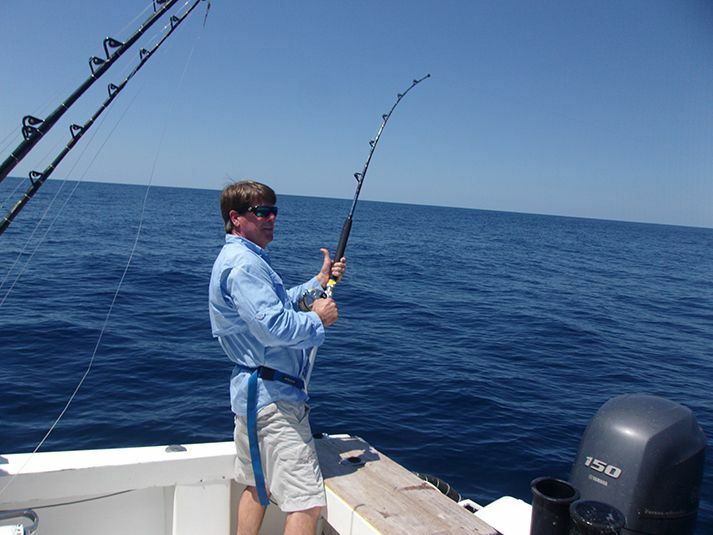 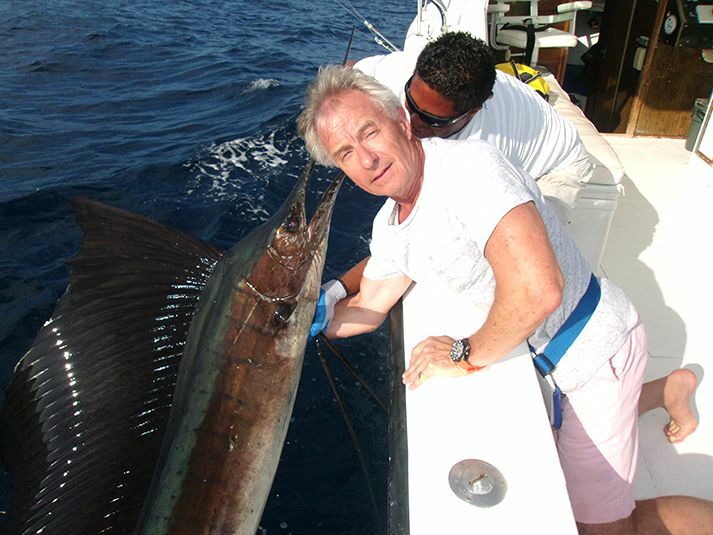 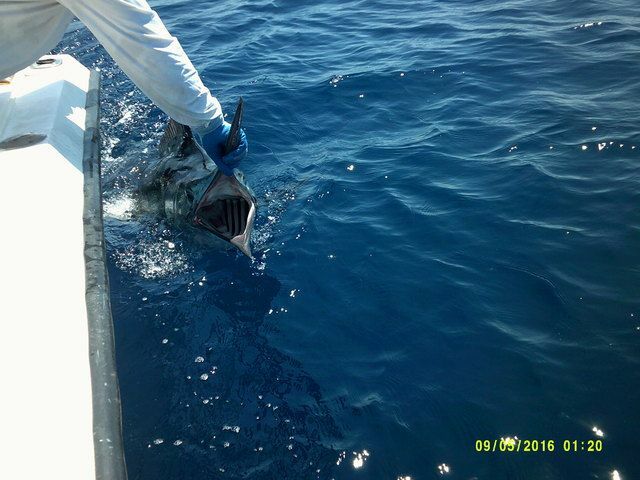 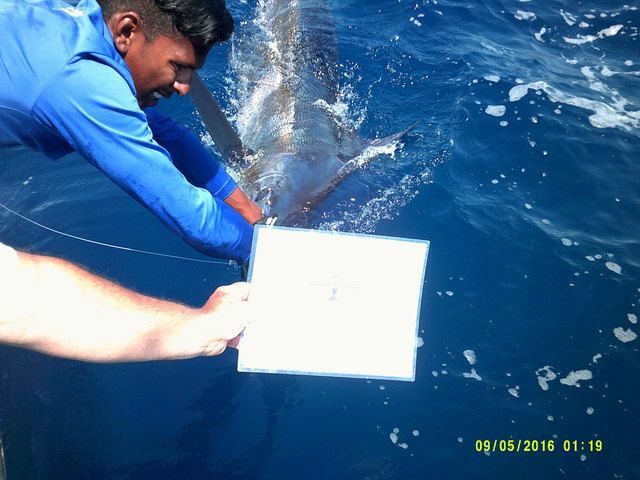 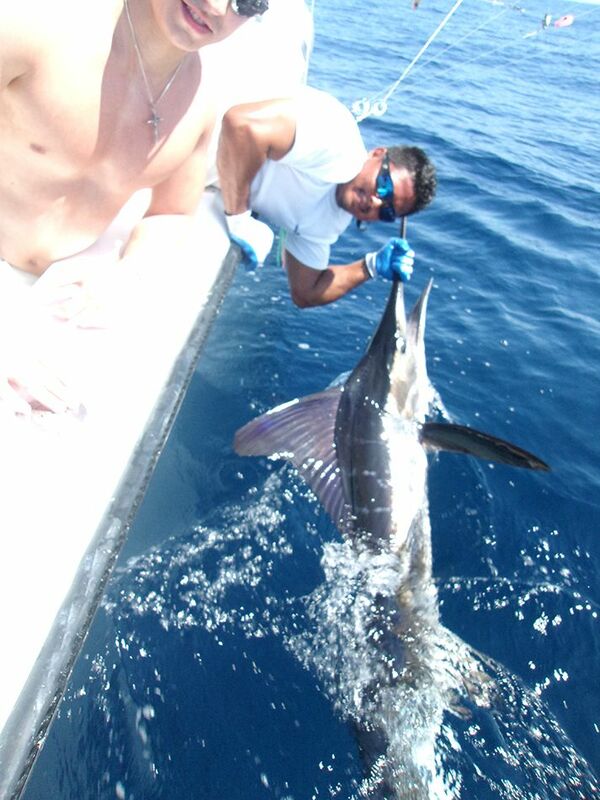 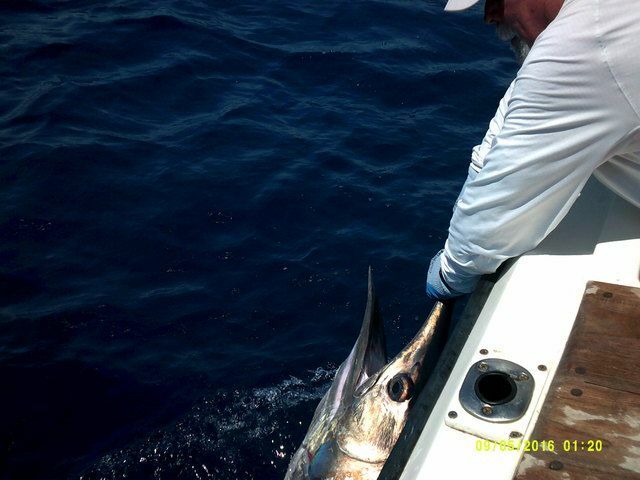 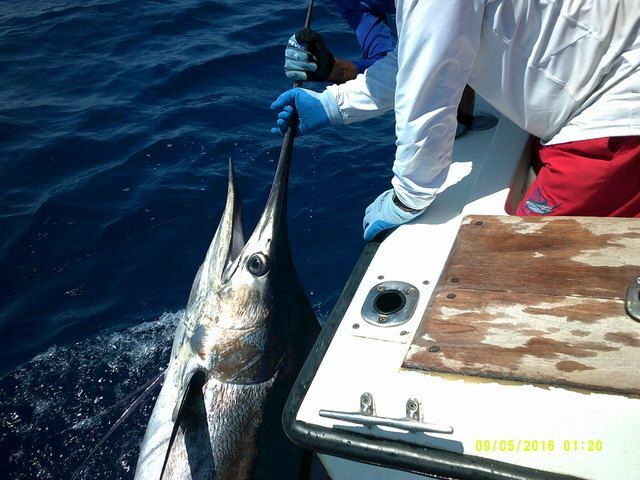 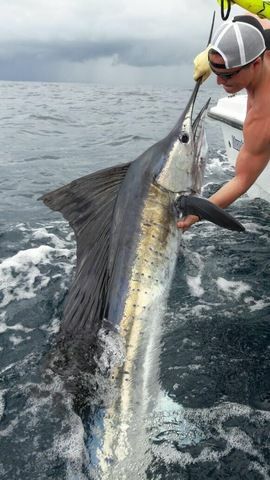 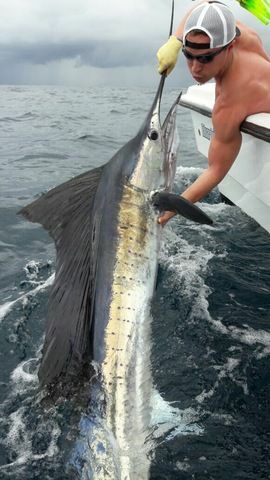 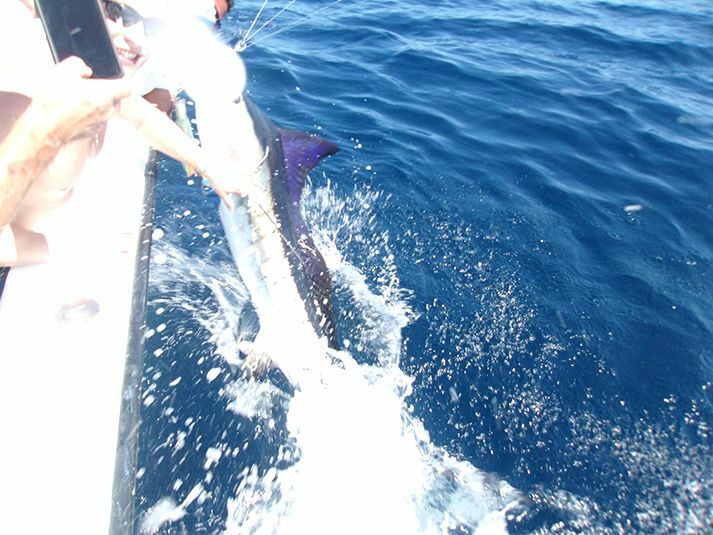 Scored by Roger’s son, this Striped Marlin a true fish of a lifetime! 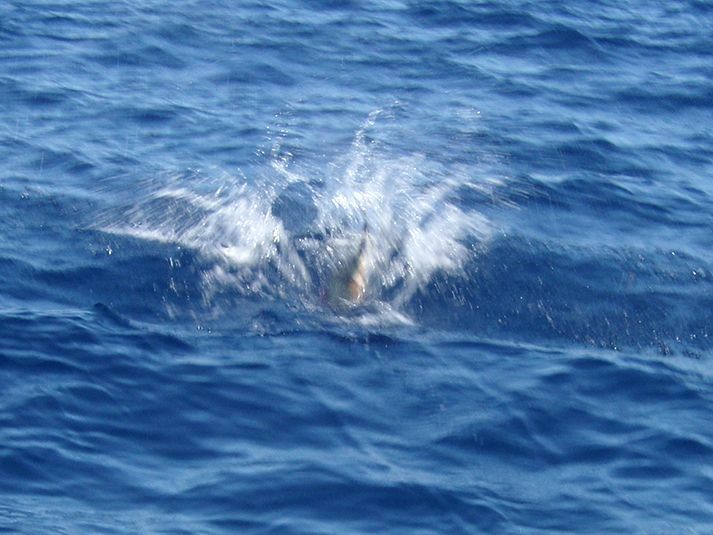 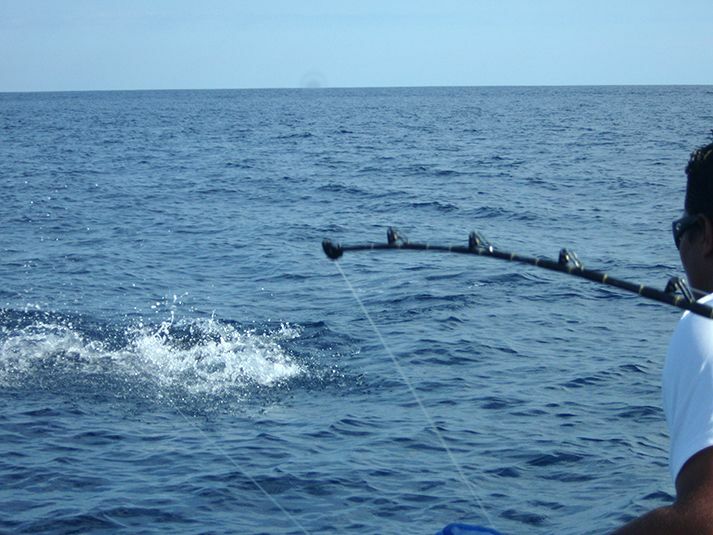 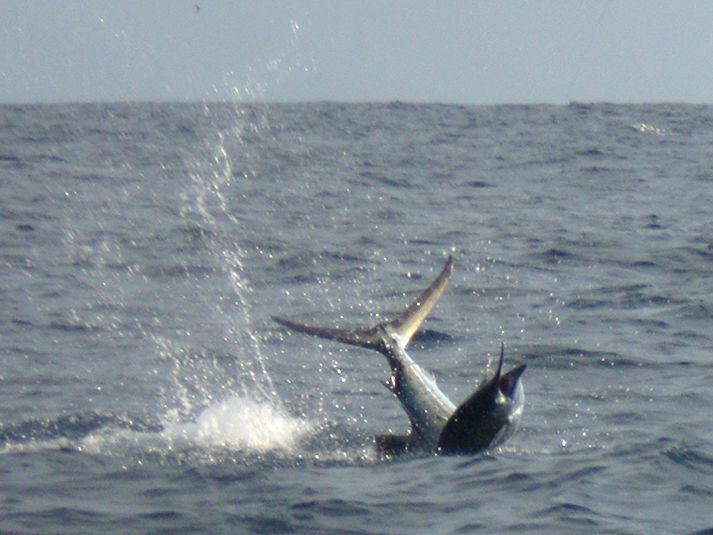 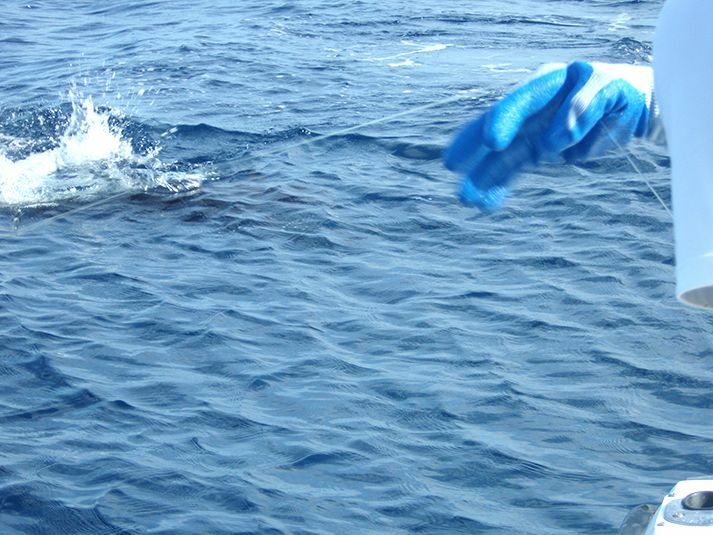 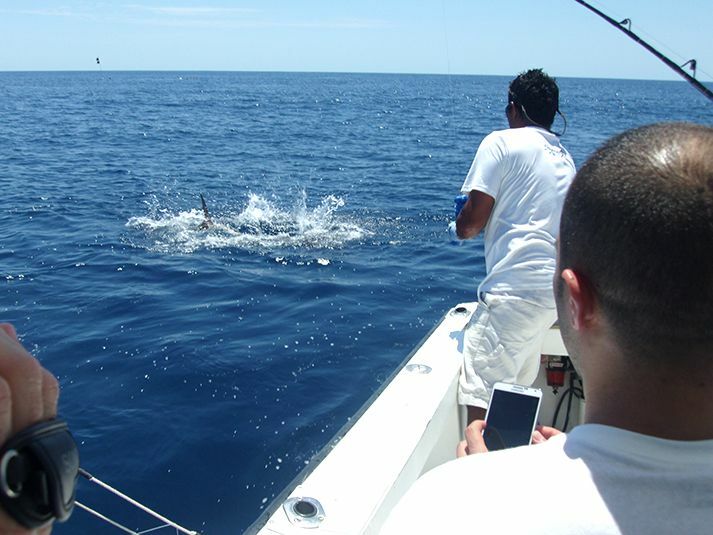 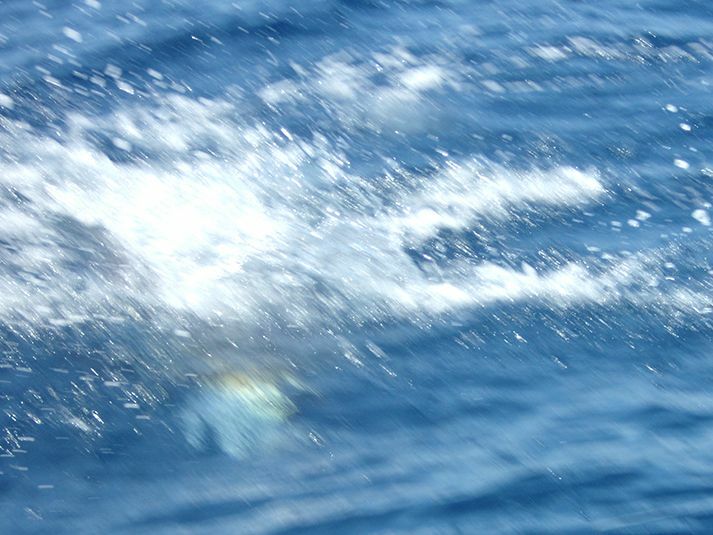 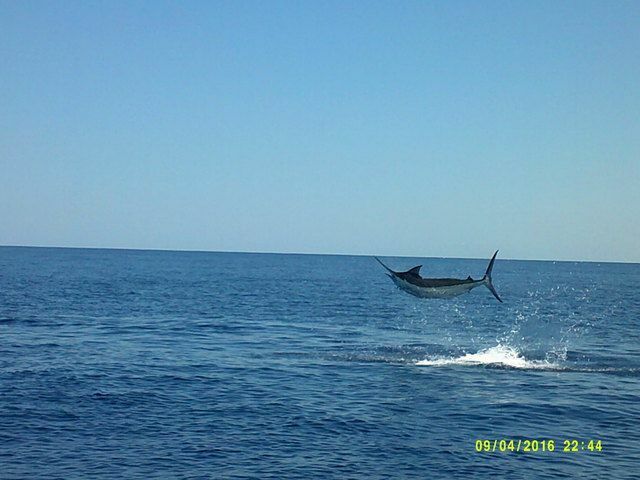 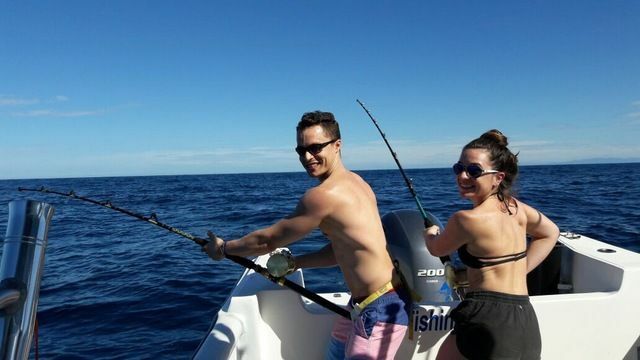 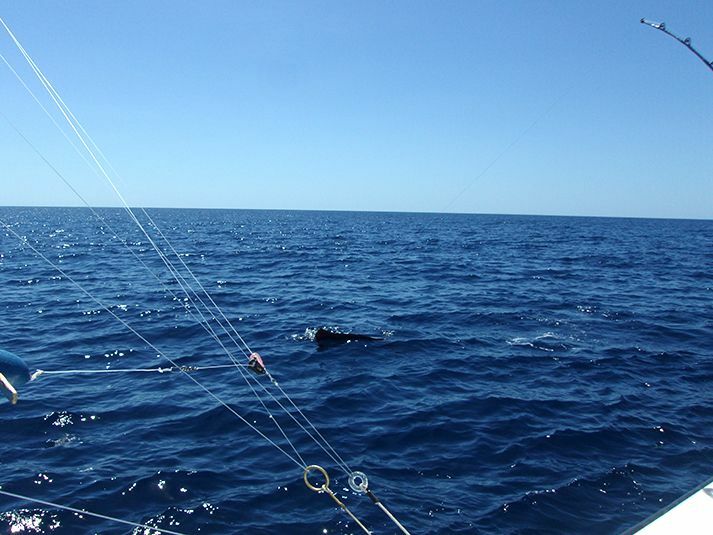 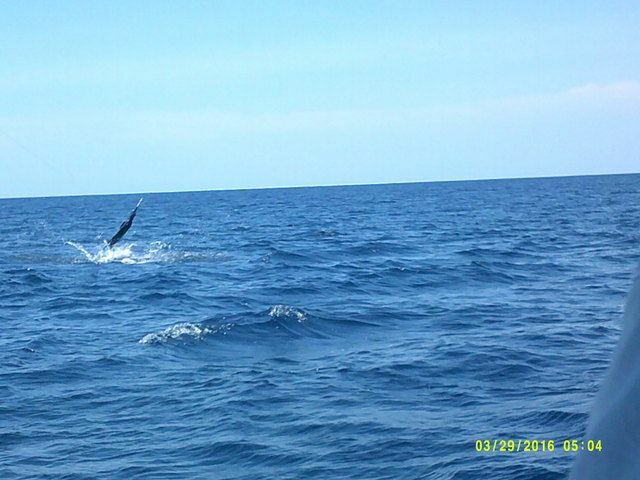 They also rallied up three Sailfish, including one especially high-flyin’ specimen. 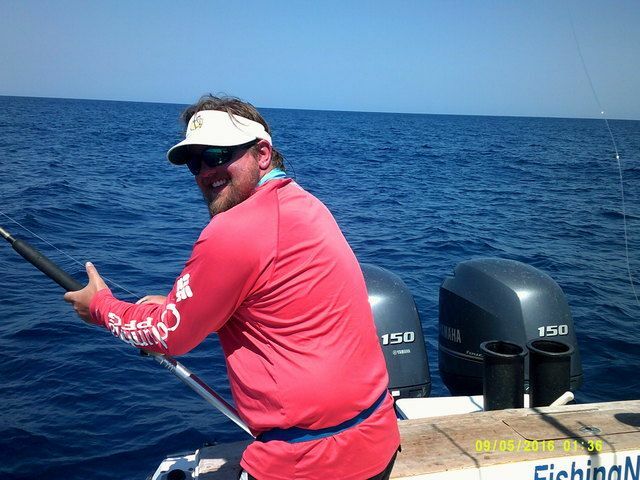 Safe releases all around by the incomparable First Mate Alex. 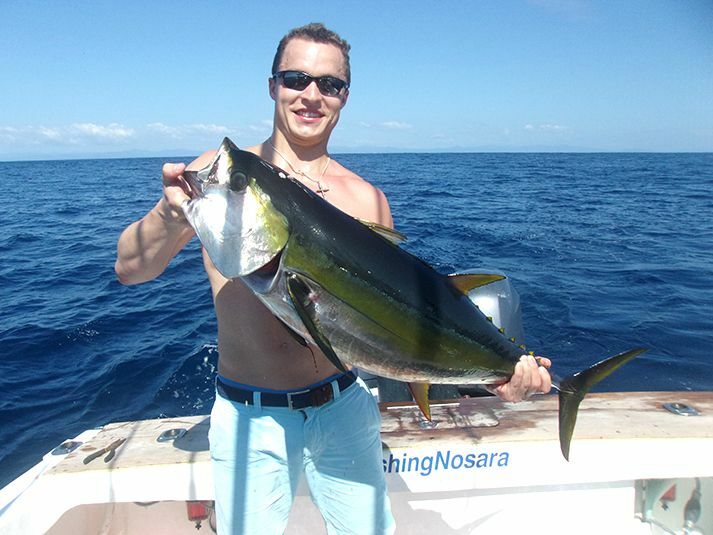 The Bowgen Boys also walloped a beautiful Yellowfin Tuna. 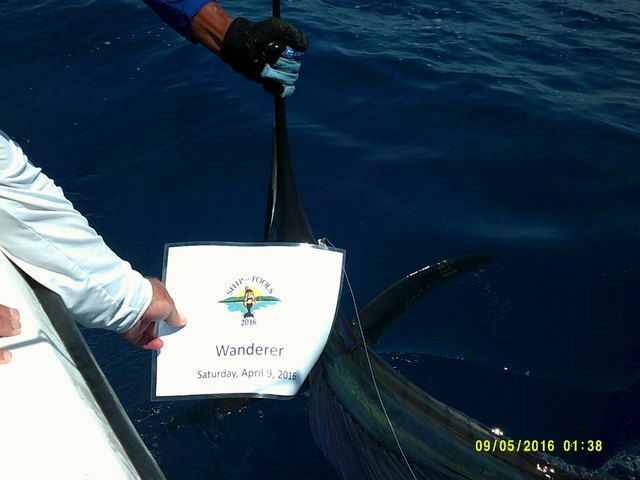 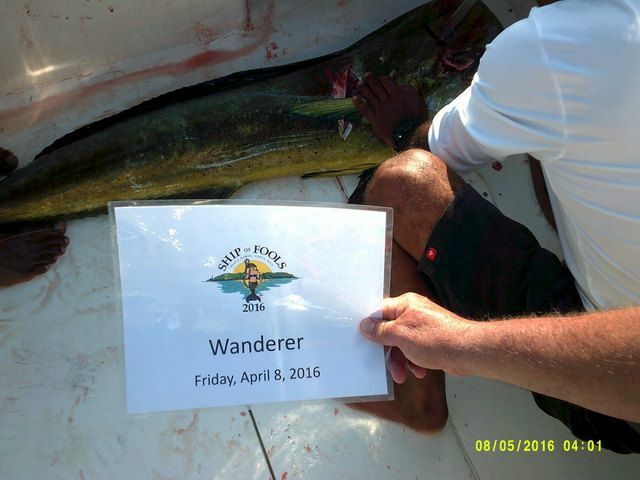 Add those filets to that trophy case full of billfish releases and you have another fantastic trip delivered by the mighty Wanderer.